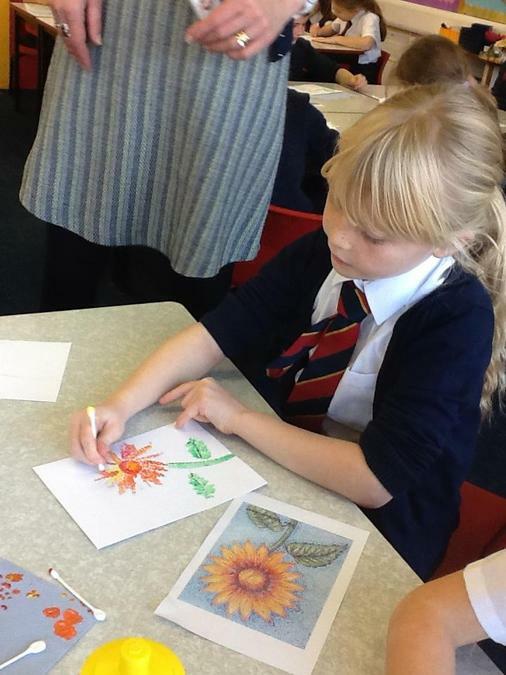 This year your teacher will be Miss Styles. 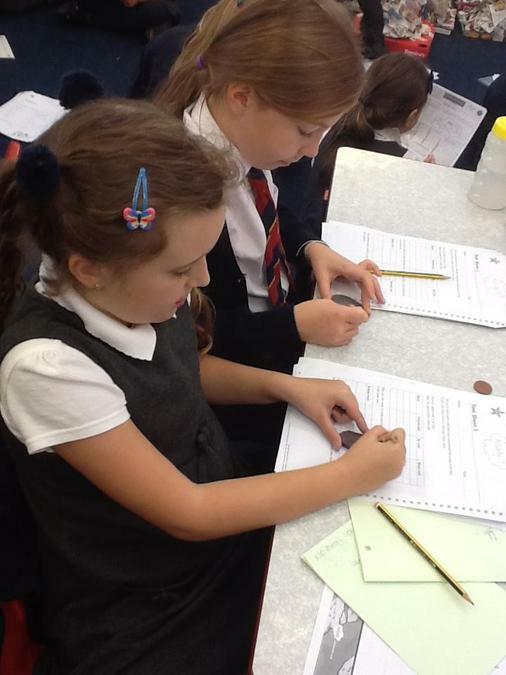 Our fabulous Teaching Assistants will be Mrs O'Reilly (Tues and Thurs mornings) and Miss Kearns (Weds mornings). 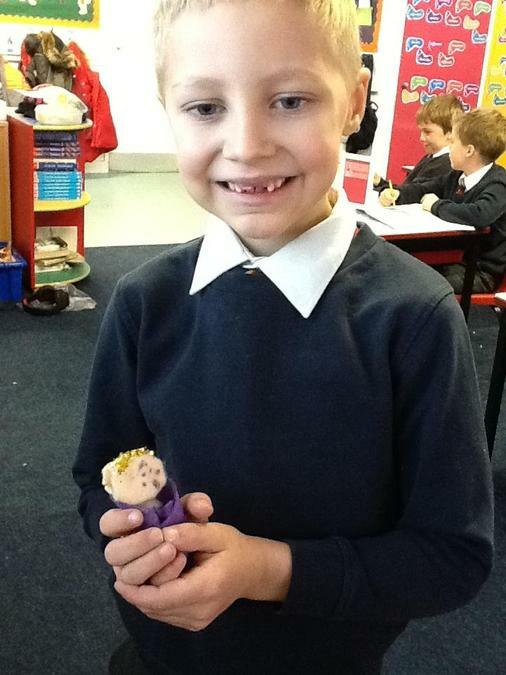 Our topic this term is 'Stone Me'. 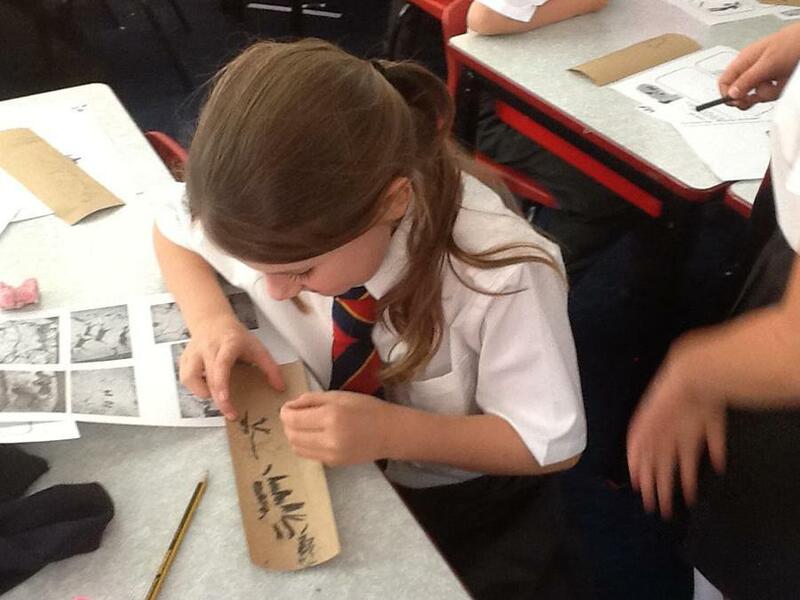 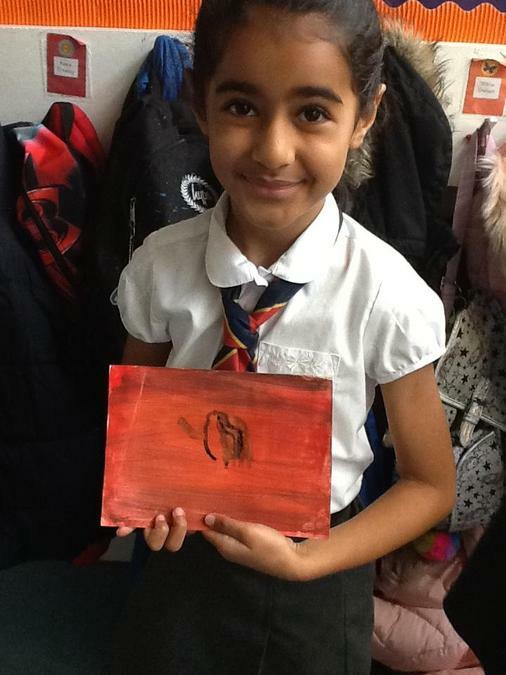 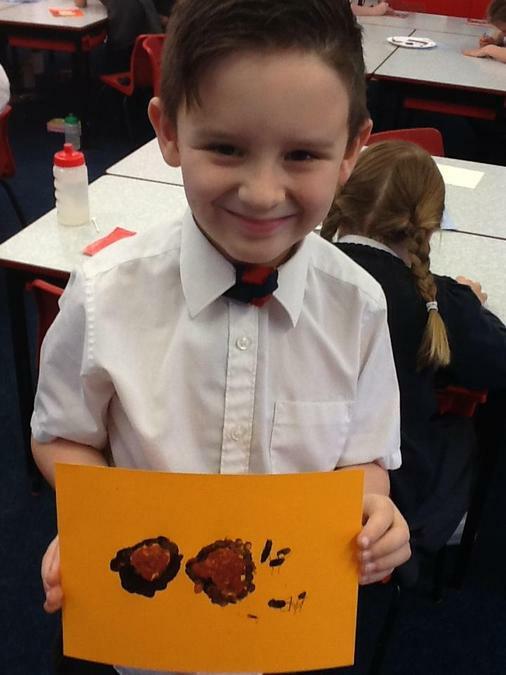 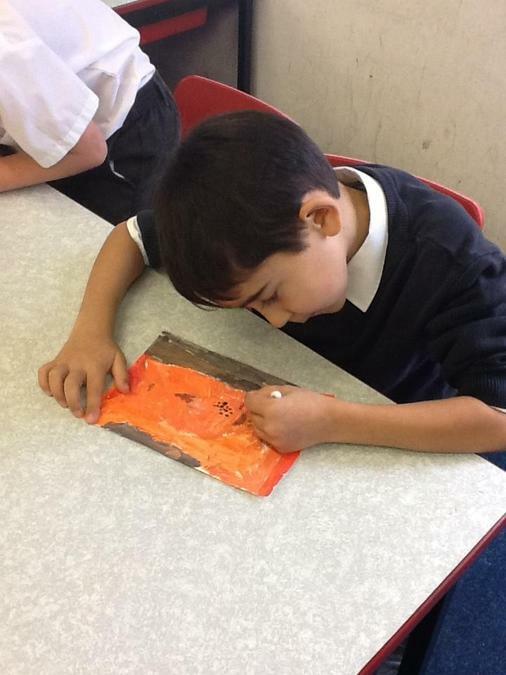 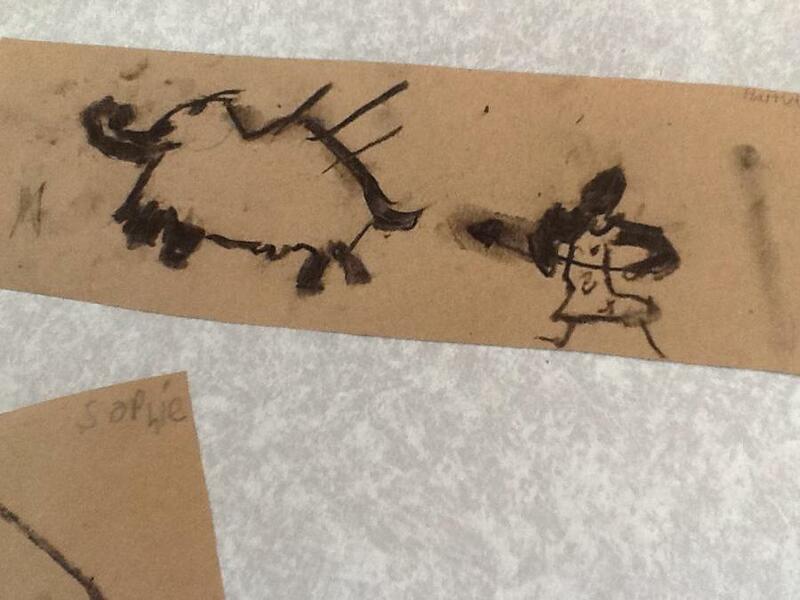 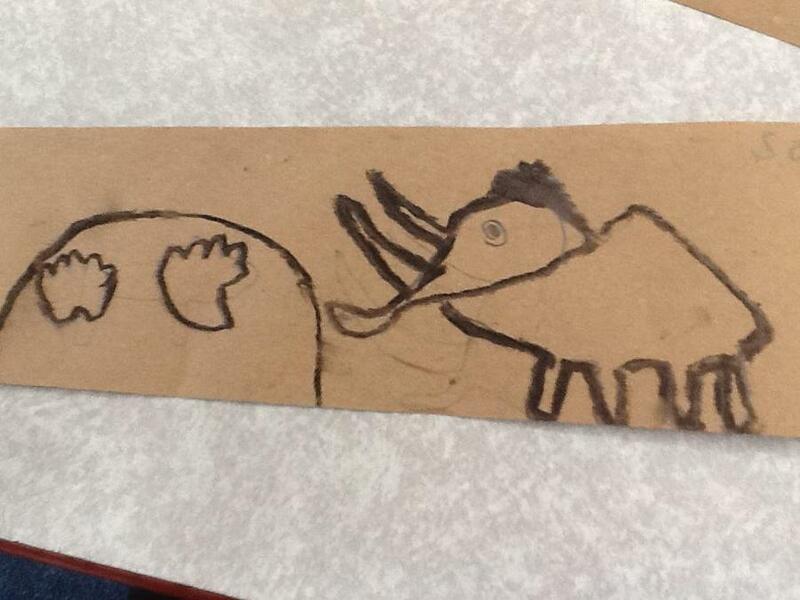 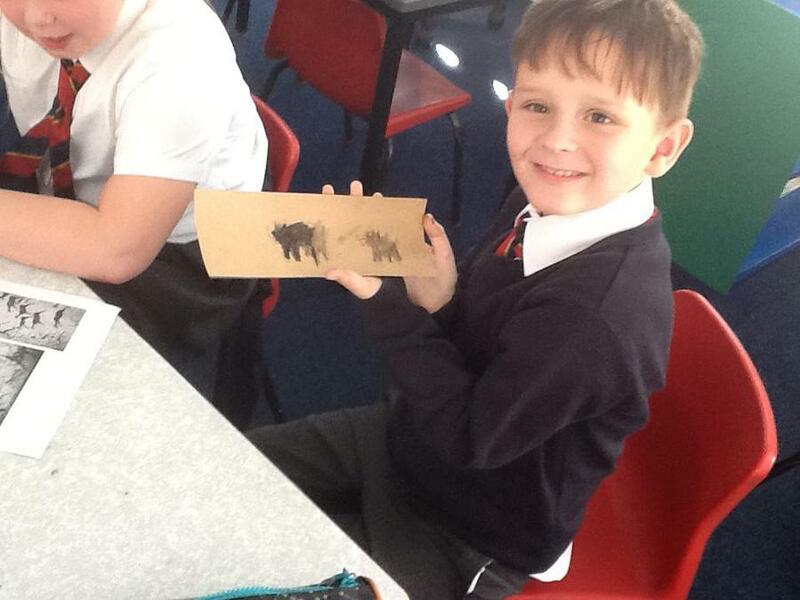 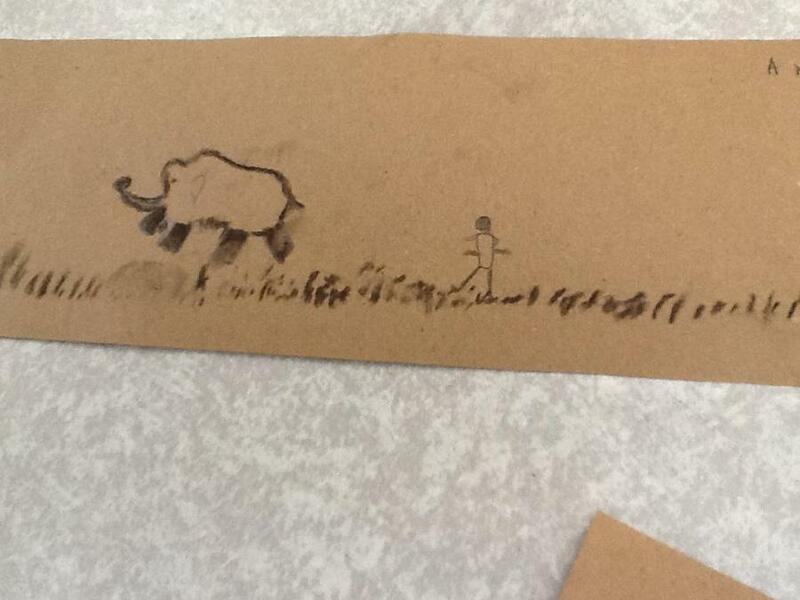 Last week we made fabulous cave art drawings for our Super Start using brown paper and charcoal. 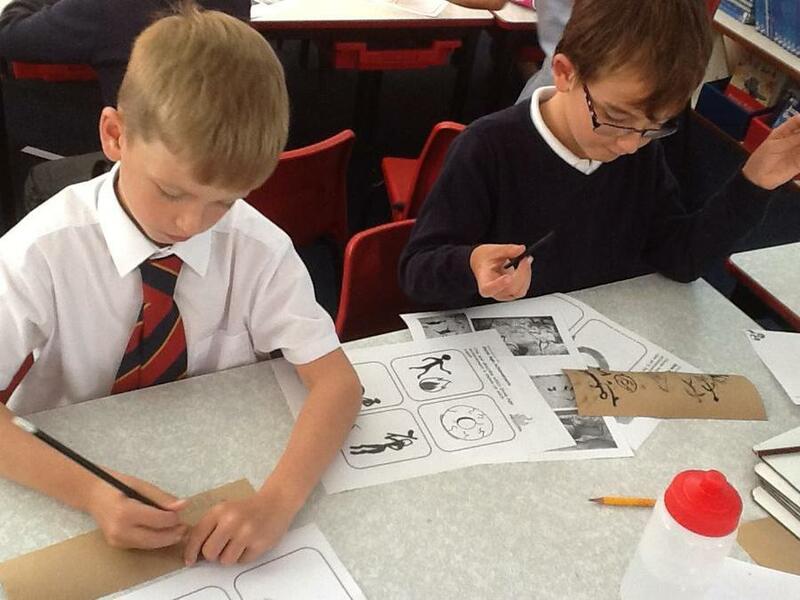 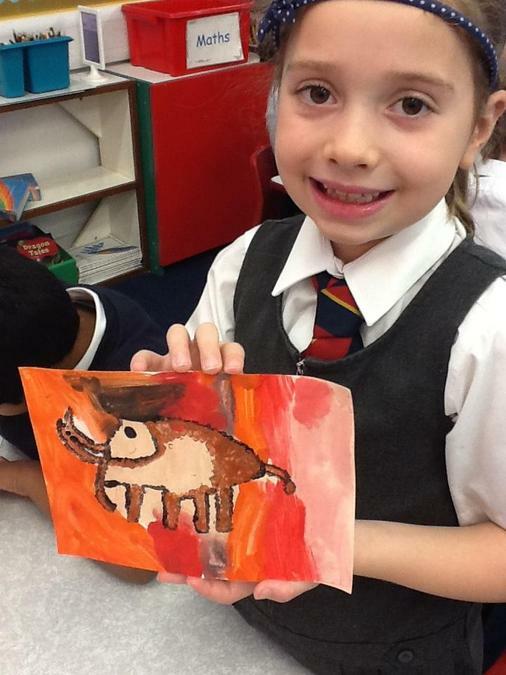 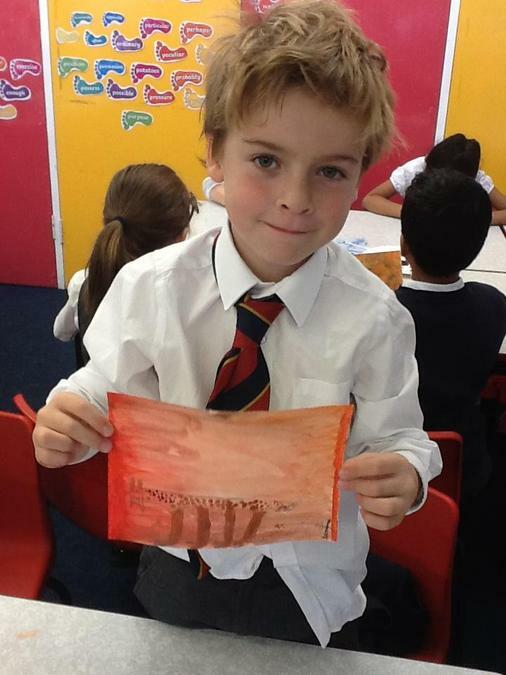 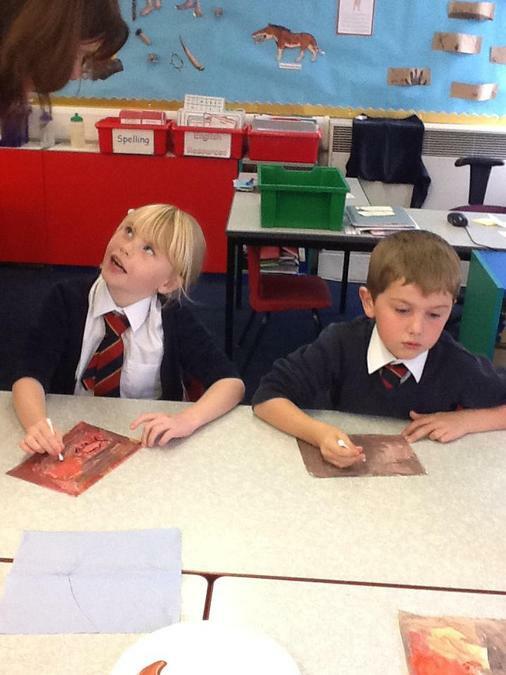 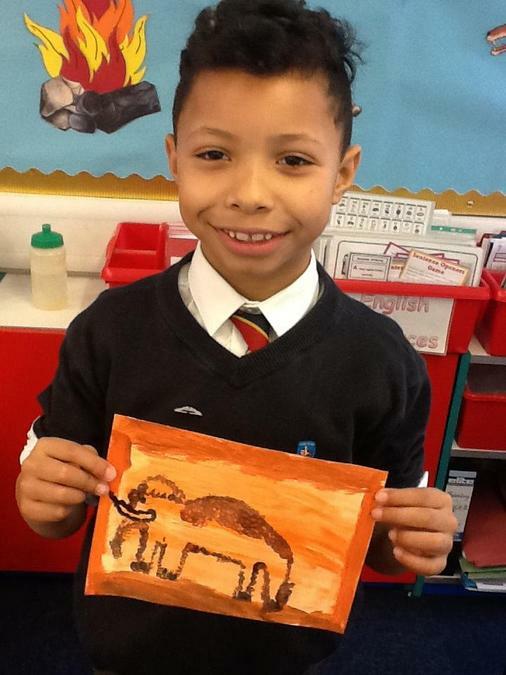 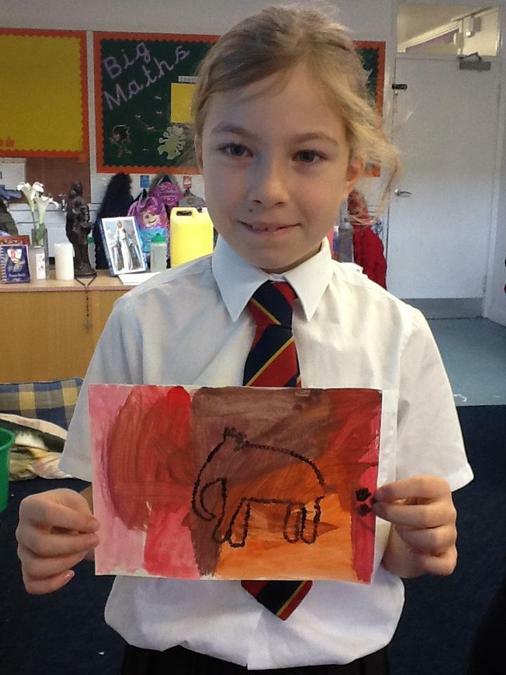 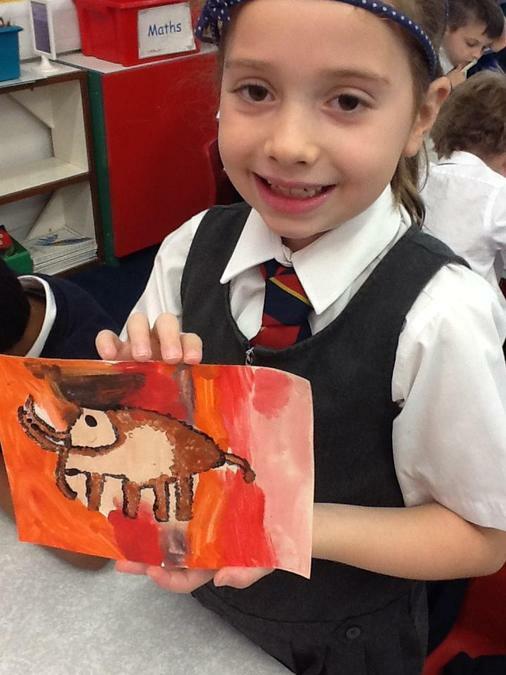 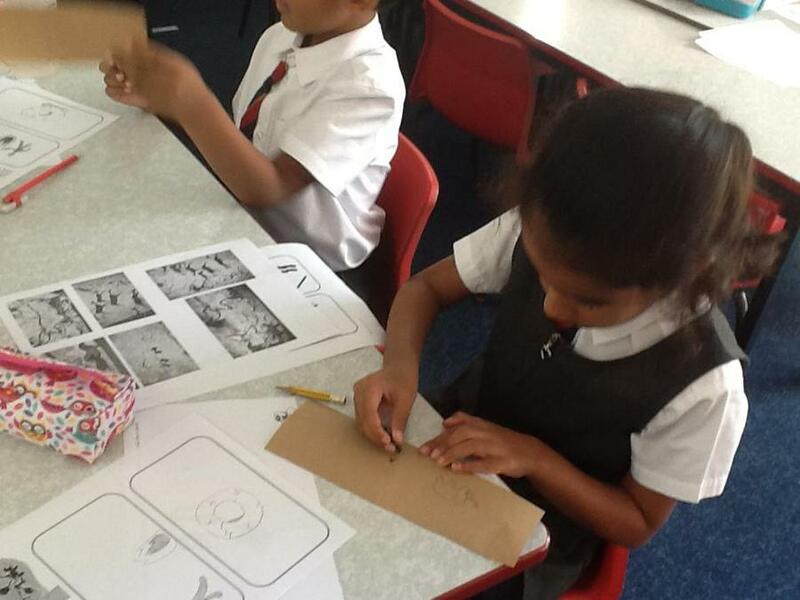 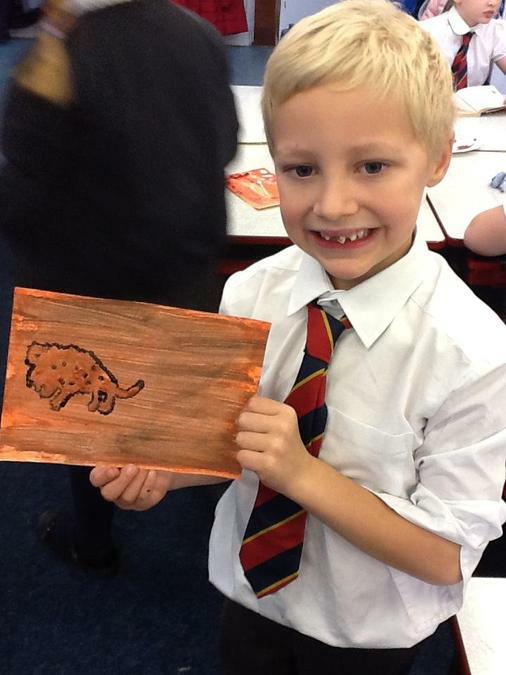 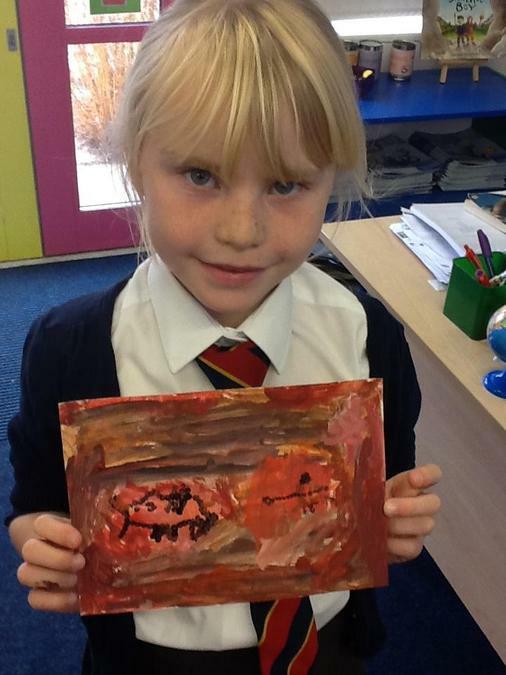 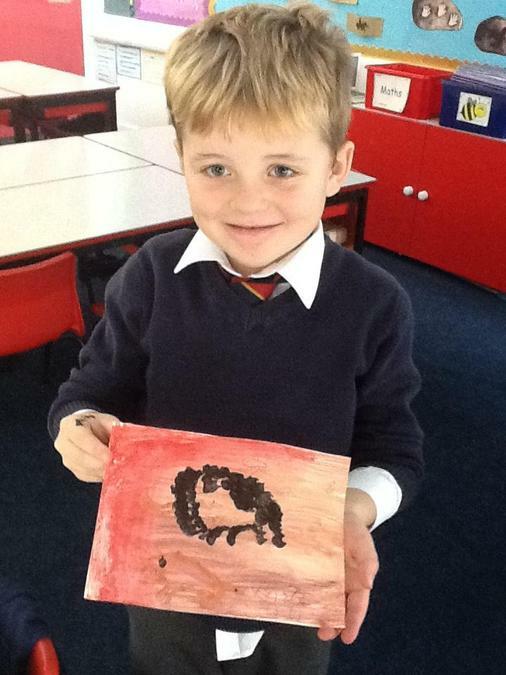 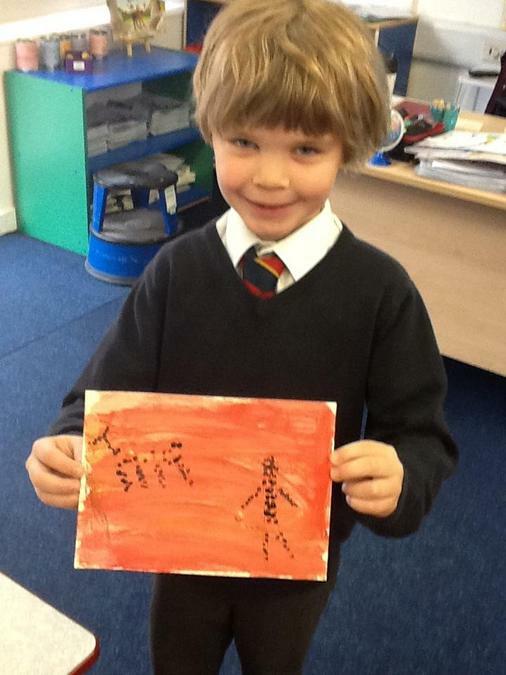 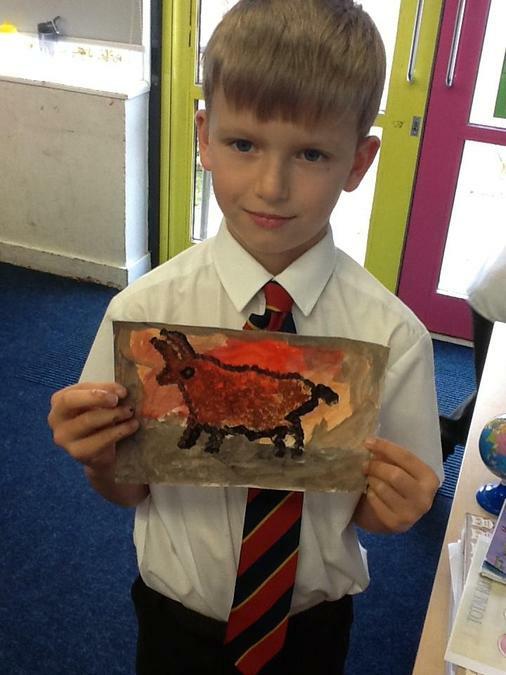 We explored pictures of cave art from the Stone age and how they used natural materials to create their drawings. 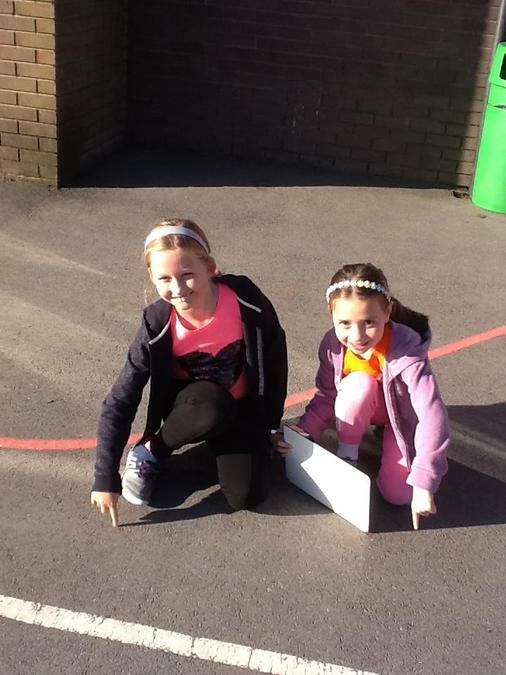 Yesterday we wore our P.E kits to school for healthy minds and bodies day. 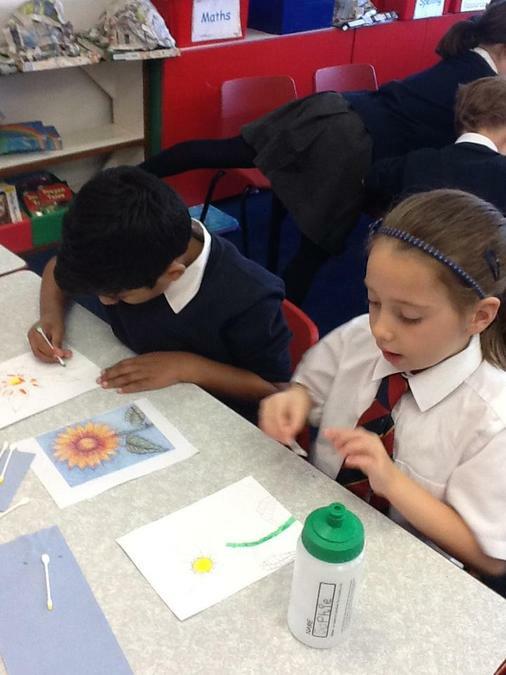 We spent the morning finding out about how to keep our minds healthy by taking part in a guided meditation and coming up with ways to manage stress. 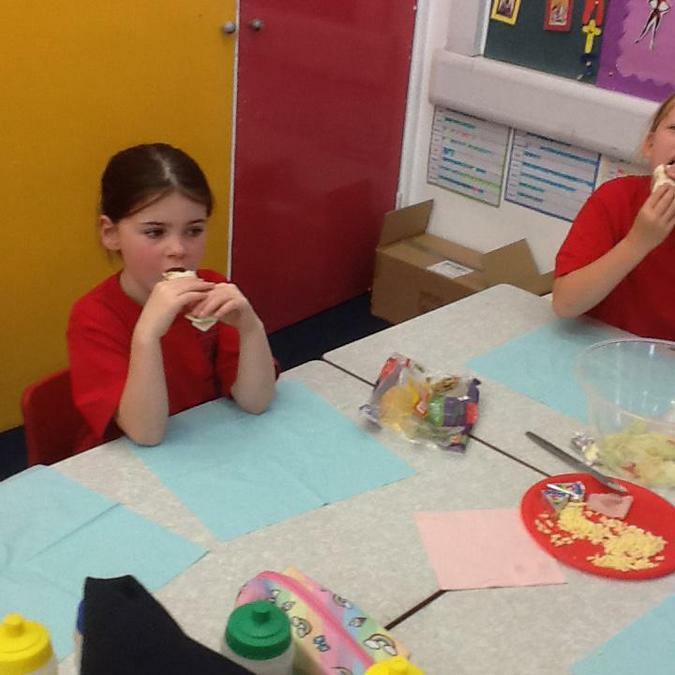 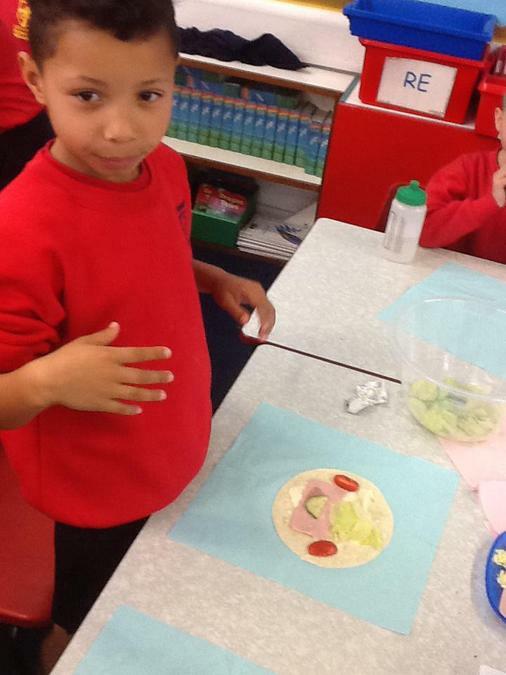 In the afternoon we looked at the Eat-well plate and talked about healthy food and why it is important. 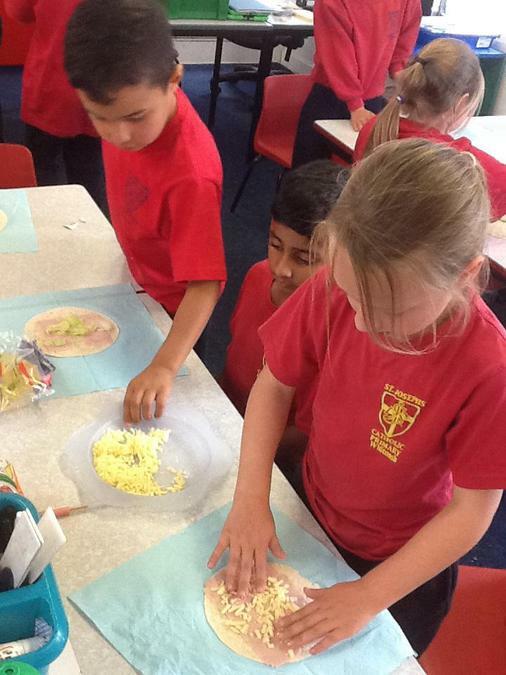 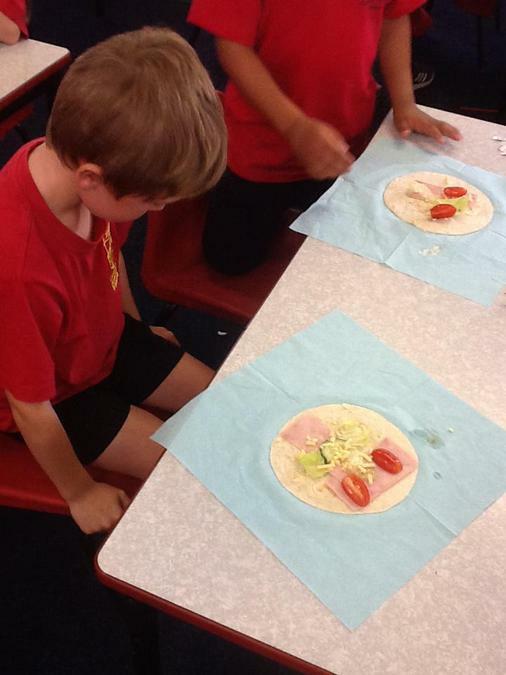 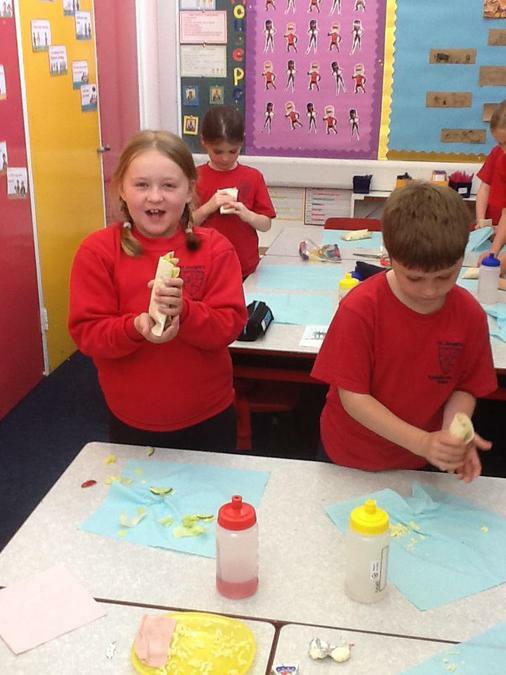 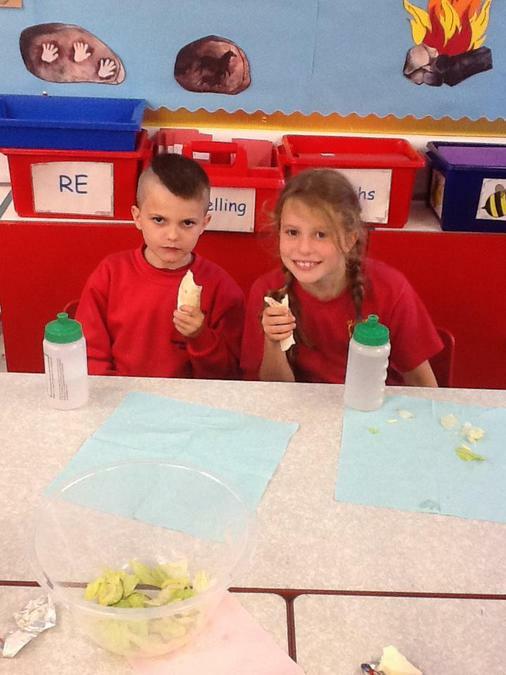 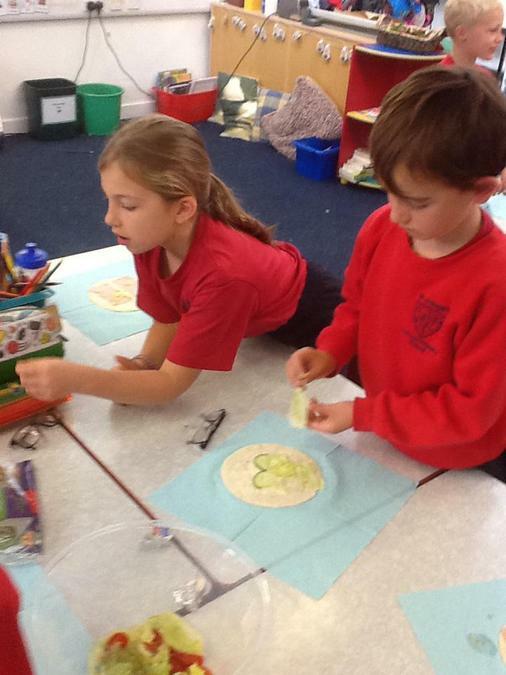 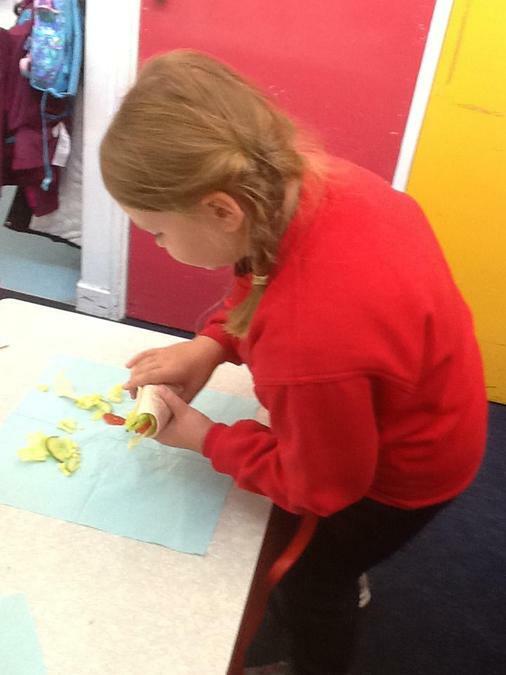 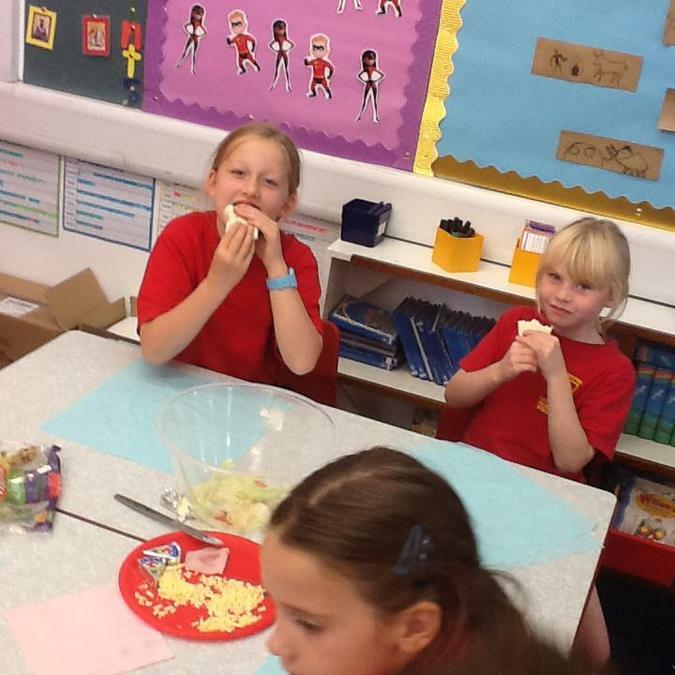 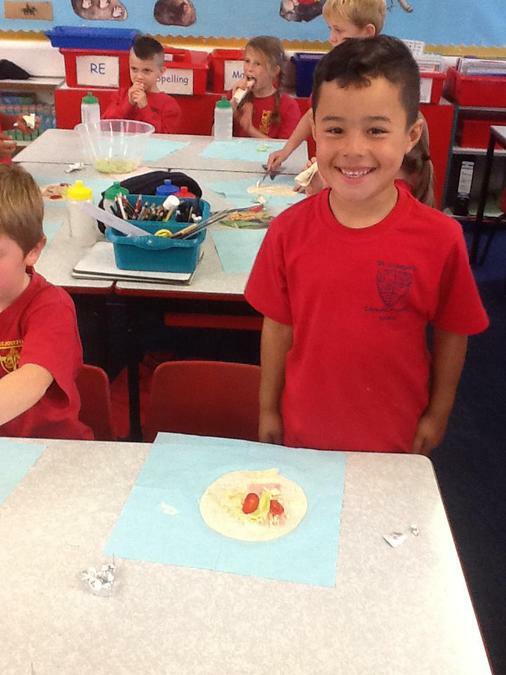 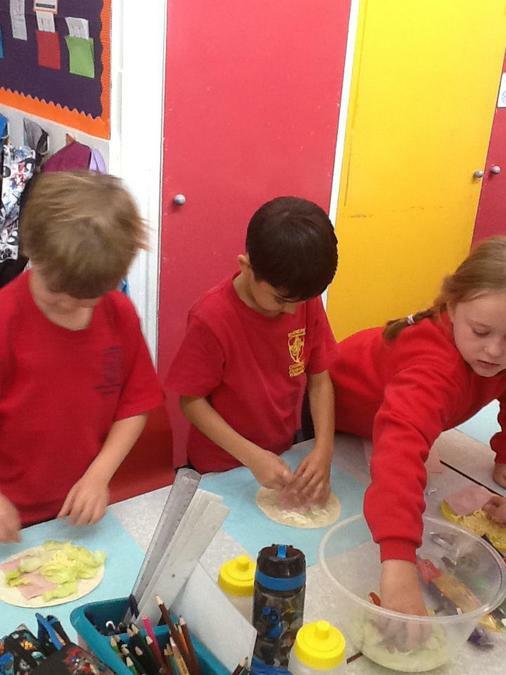 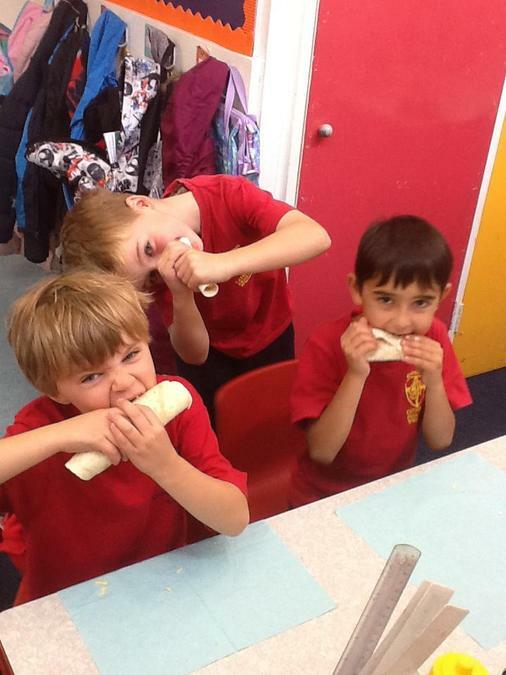 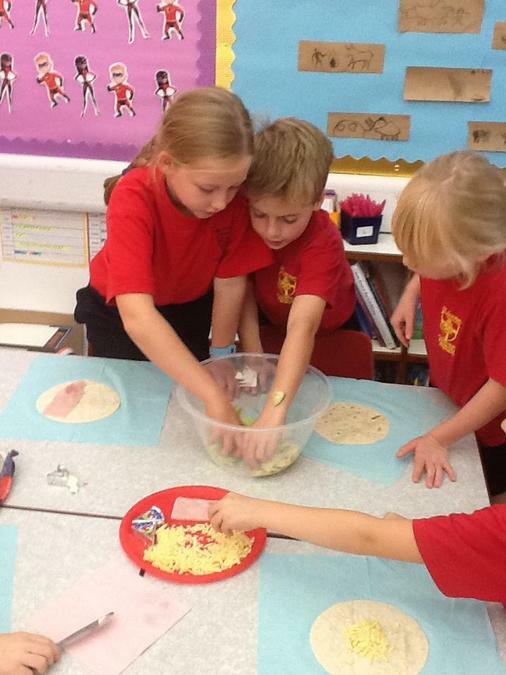 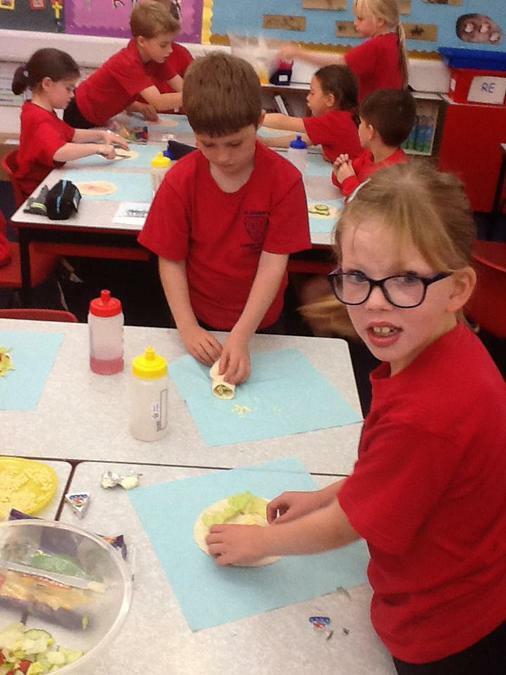 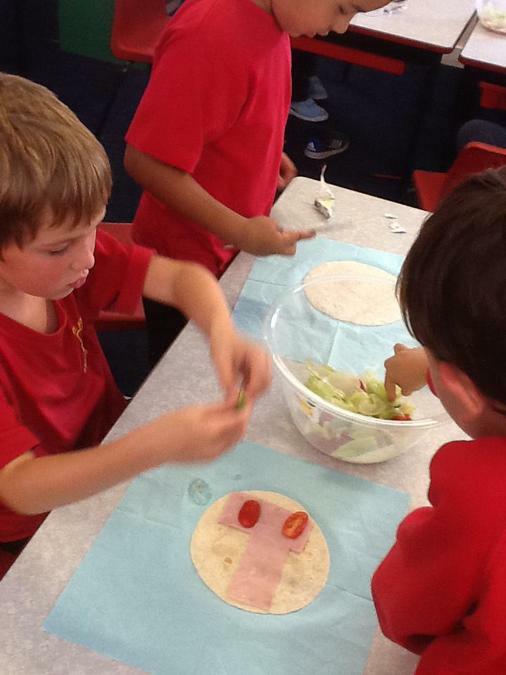 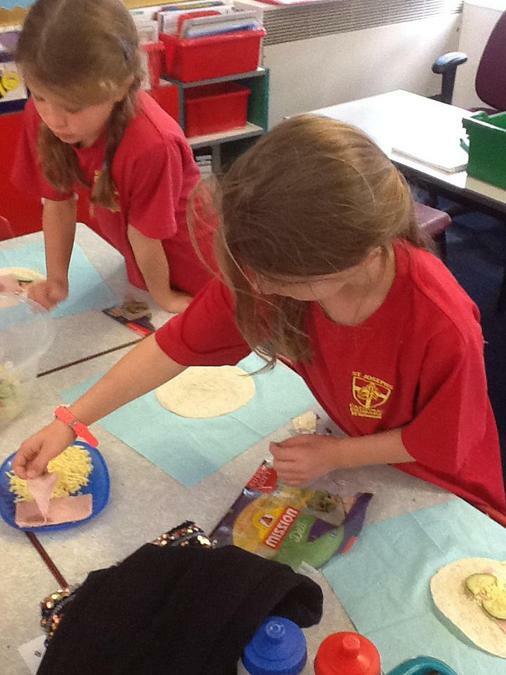 We made healthy wraps and tasted them after. 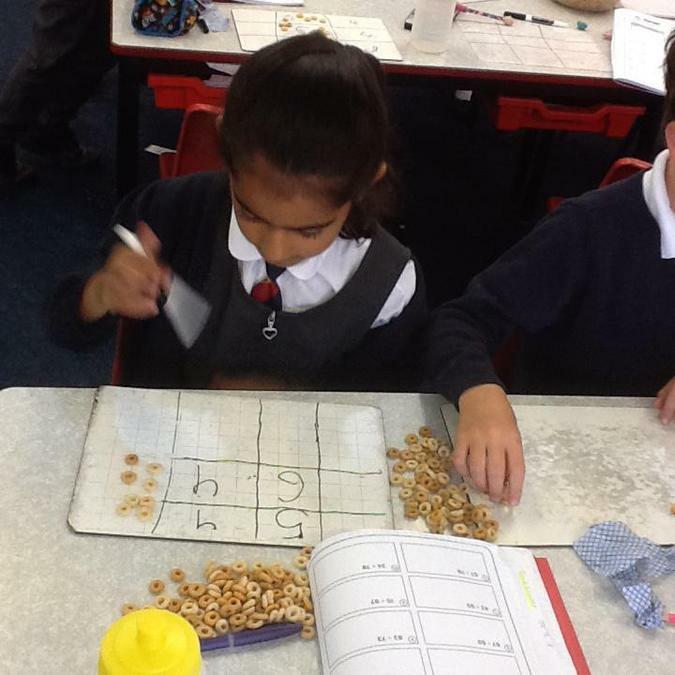 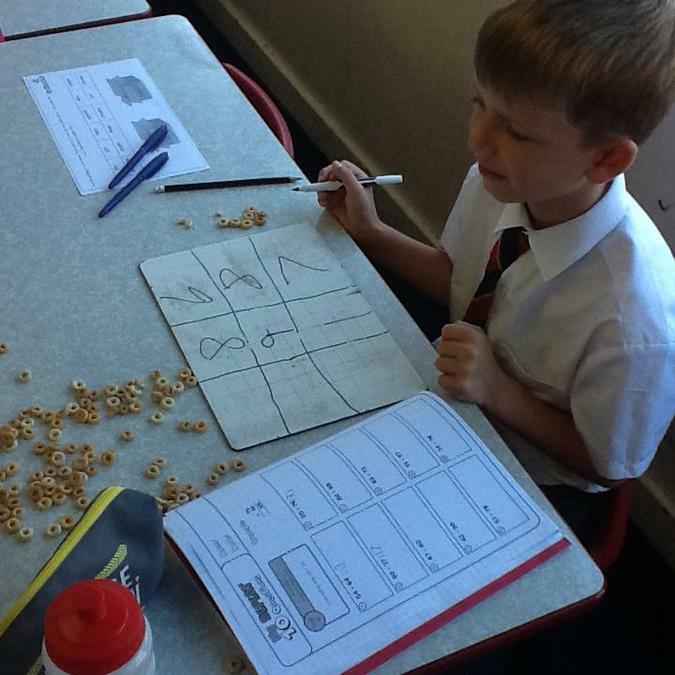 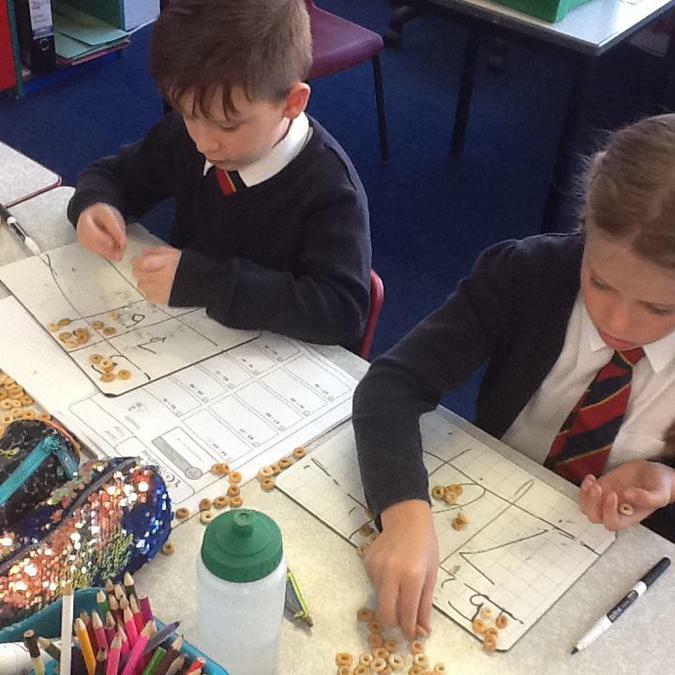 This week year 3 have been consolidating column addition, so to help us with carrying we used Cheerios to help us visualise it. 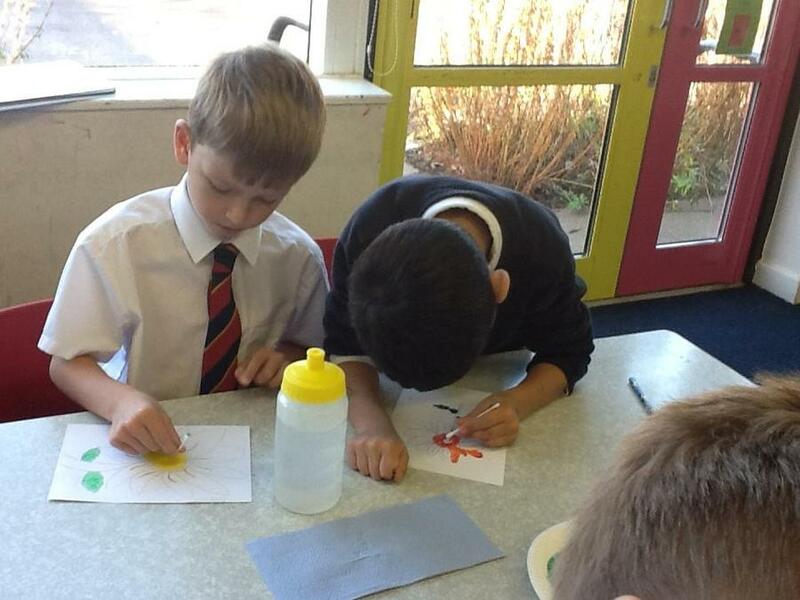 We found that this really helped us to carry out the process mentally afterwards. 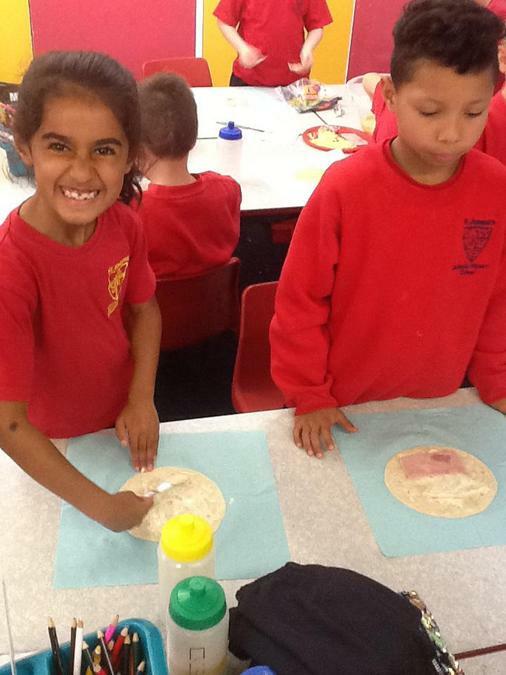 We also had fun doing it!!! 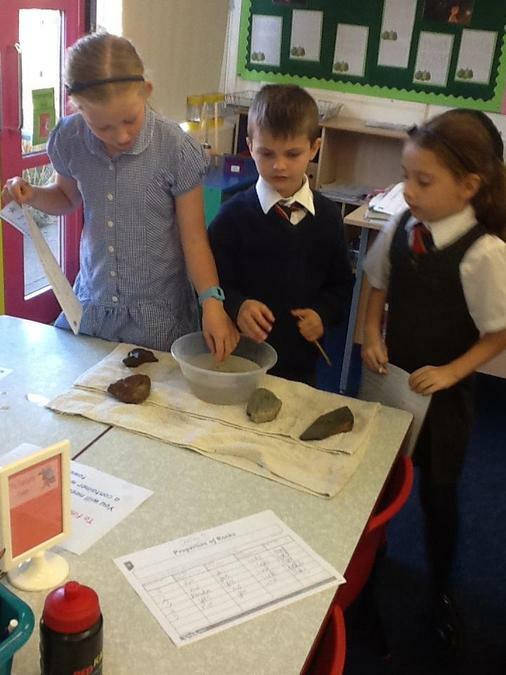 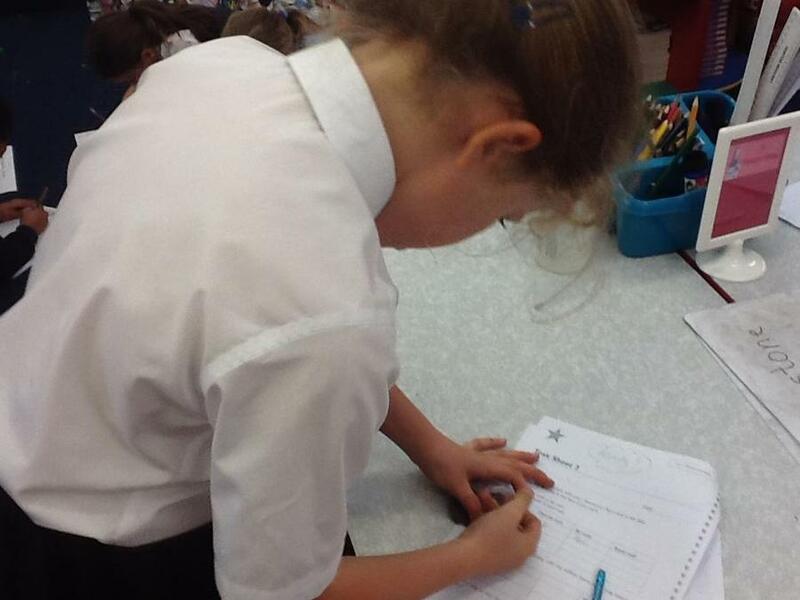 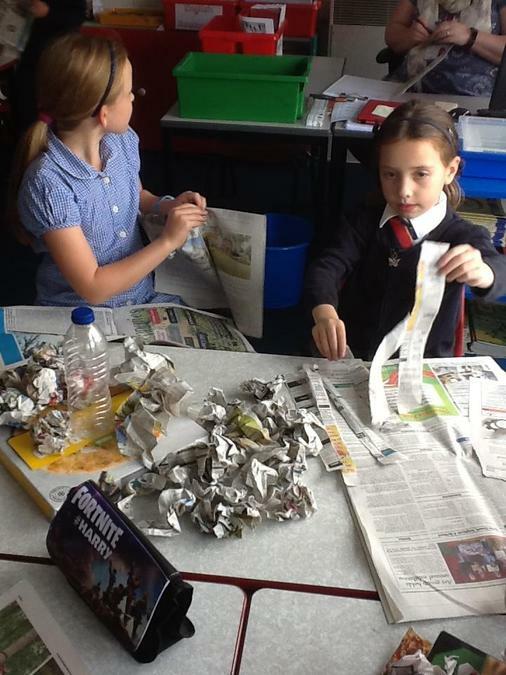 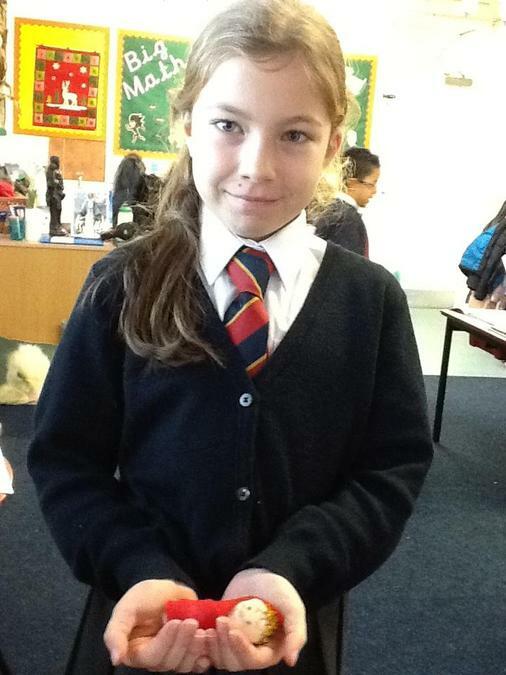 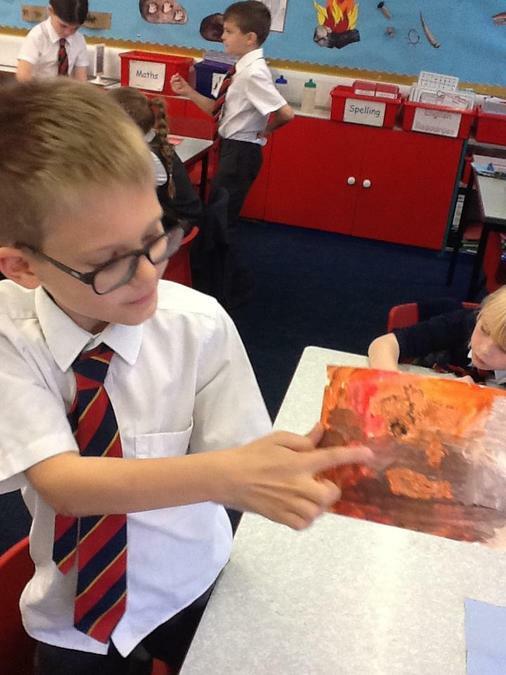 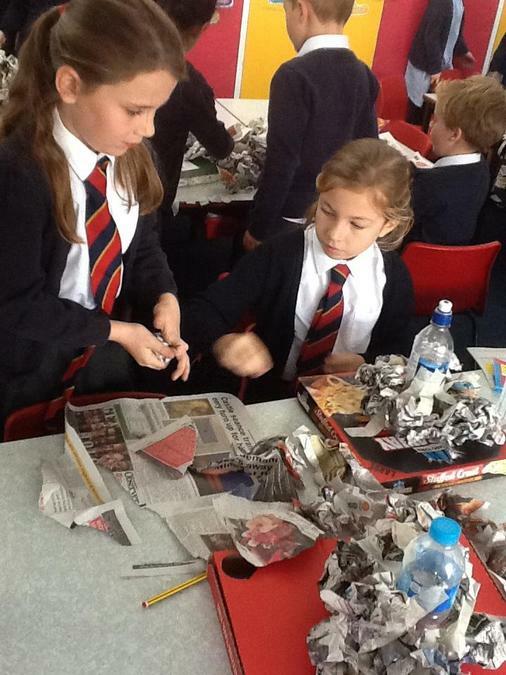 We have been exploring rocks and soils in our Science topic this week. 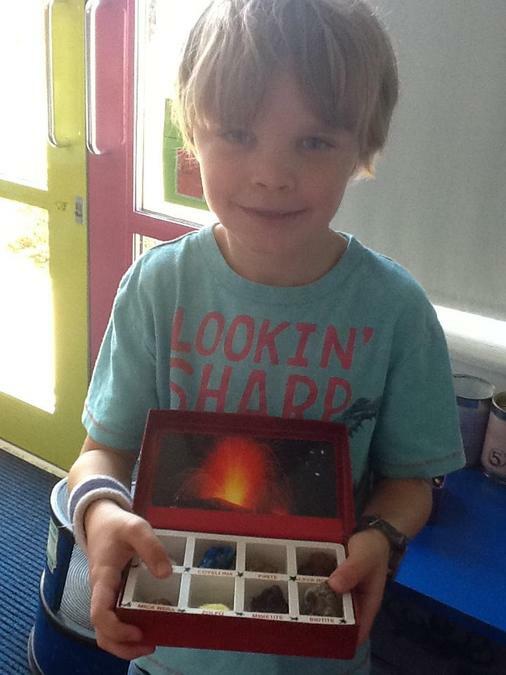 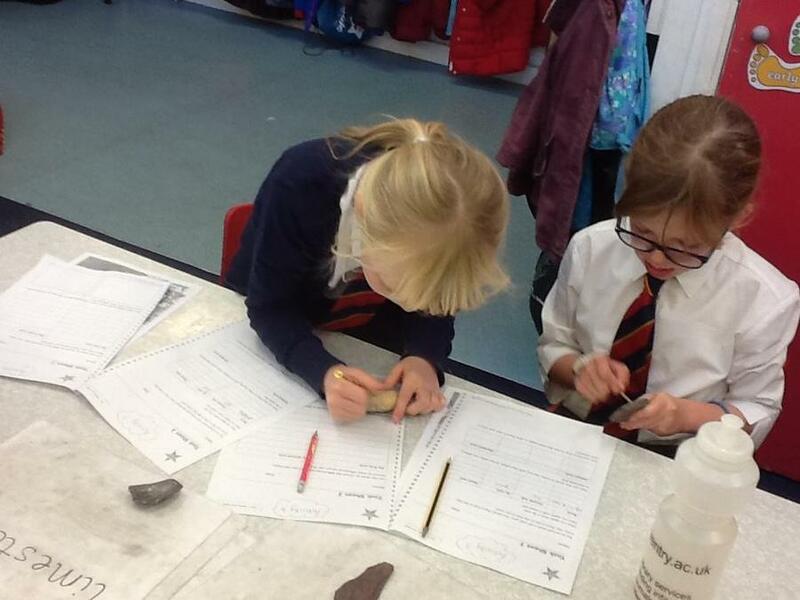 We have really enjoyed finding out about the 3 different types of rocks, comparing rocks and learning about volcanoes! 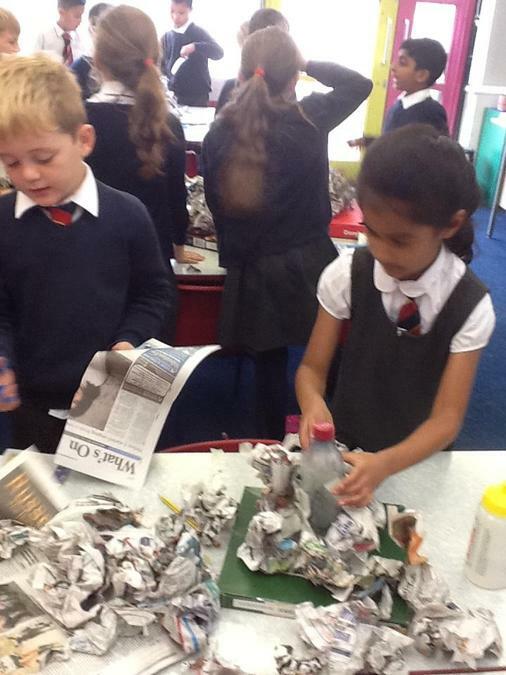 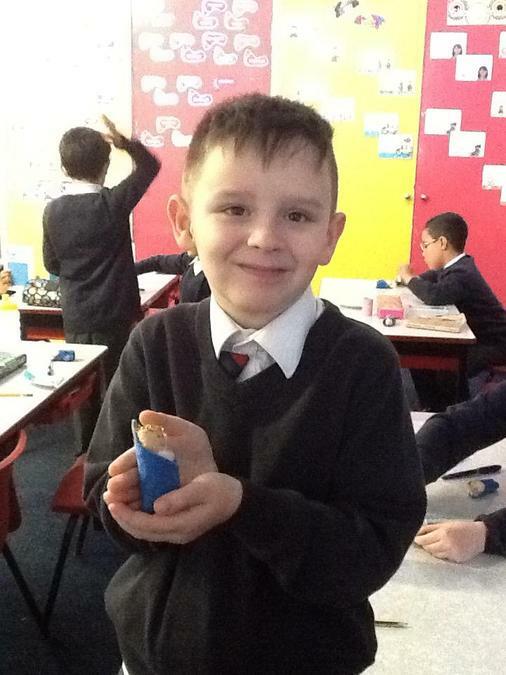 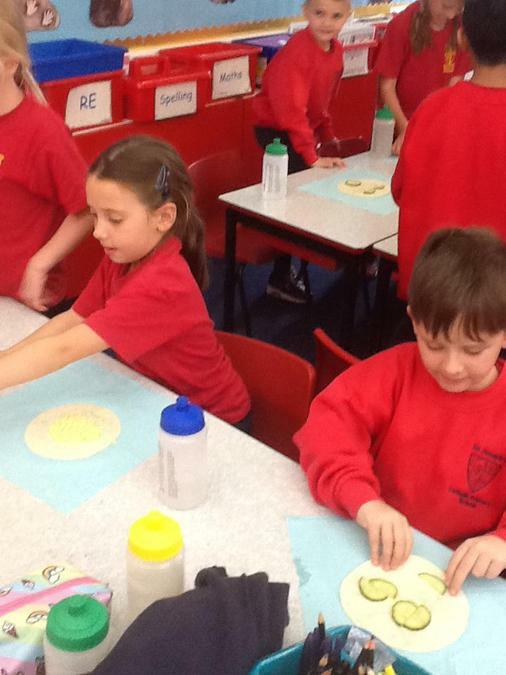 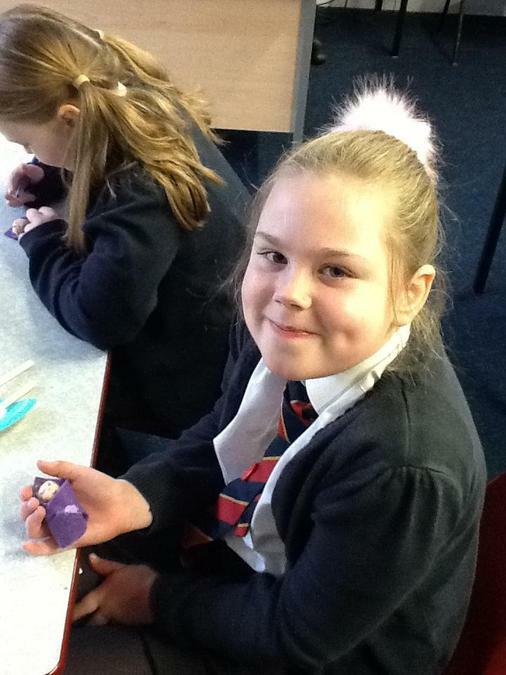 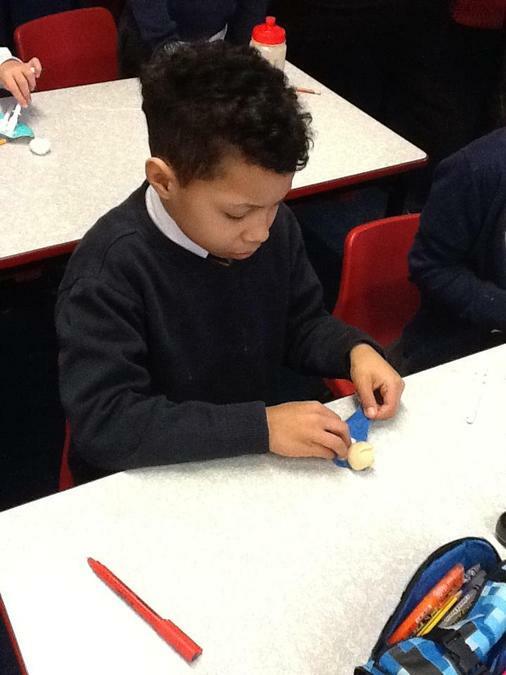 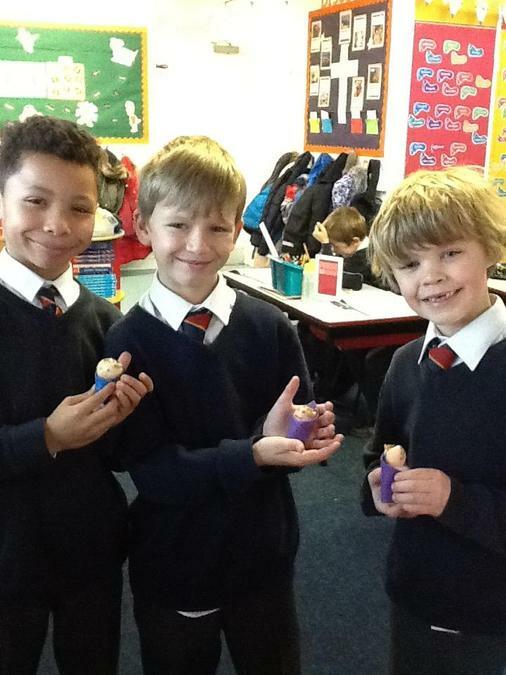 We also made our own fossils out of clay! 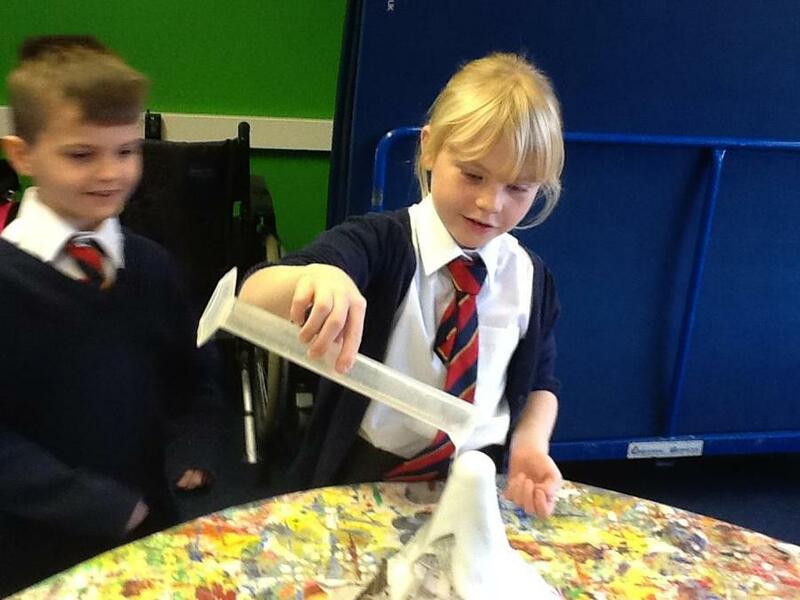 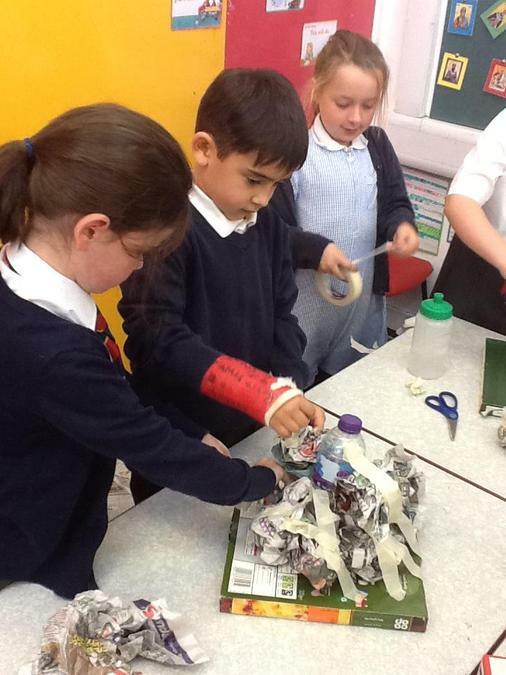 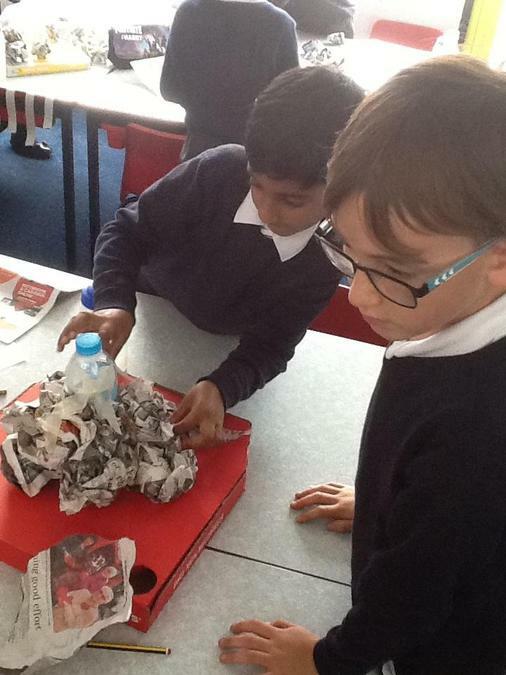 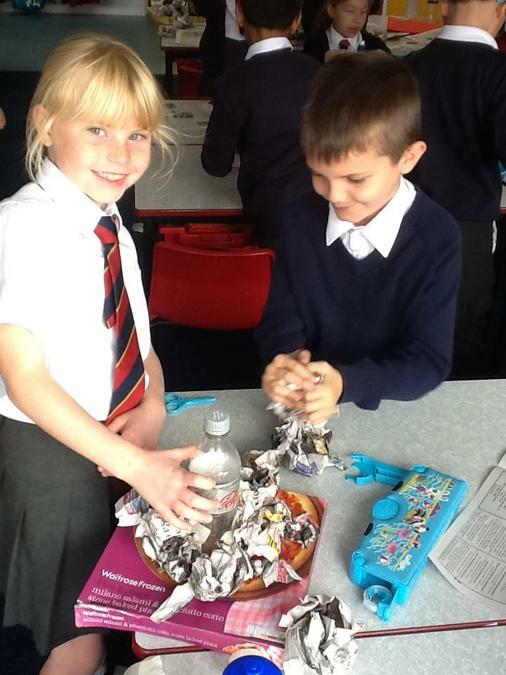 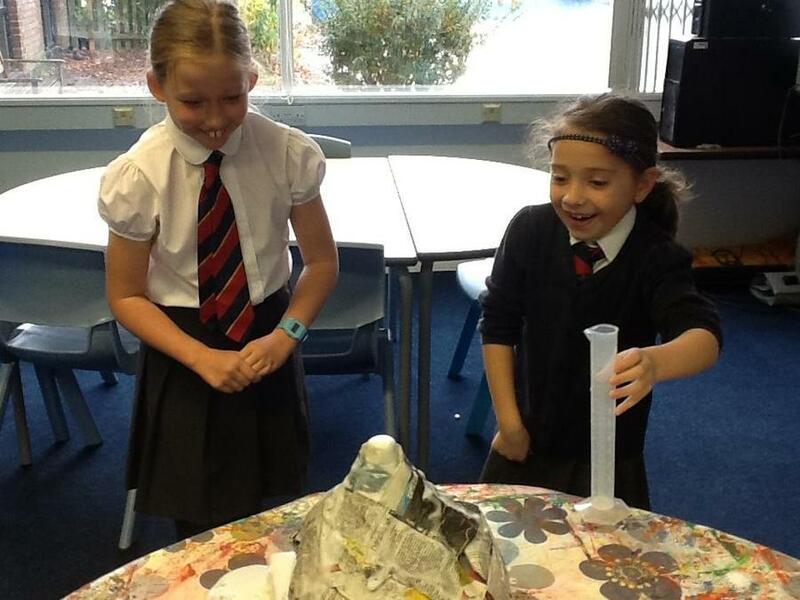 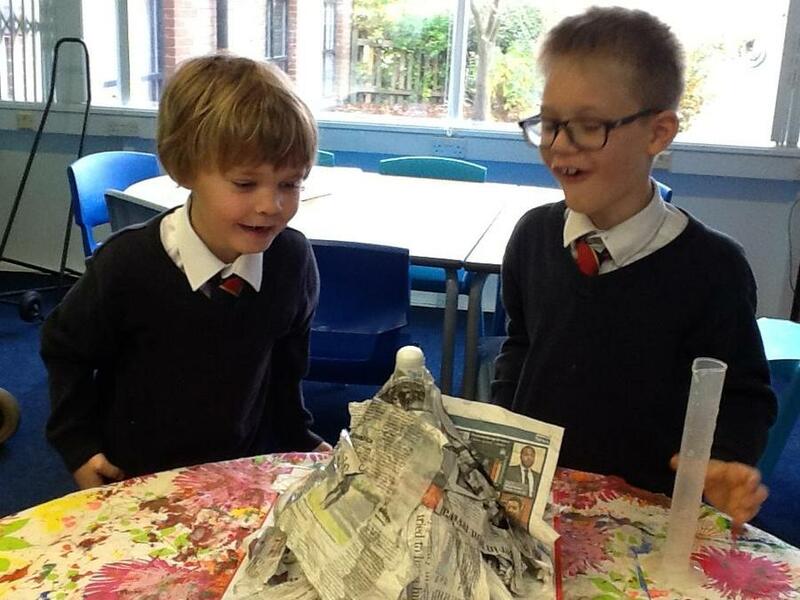 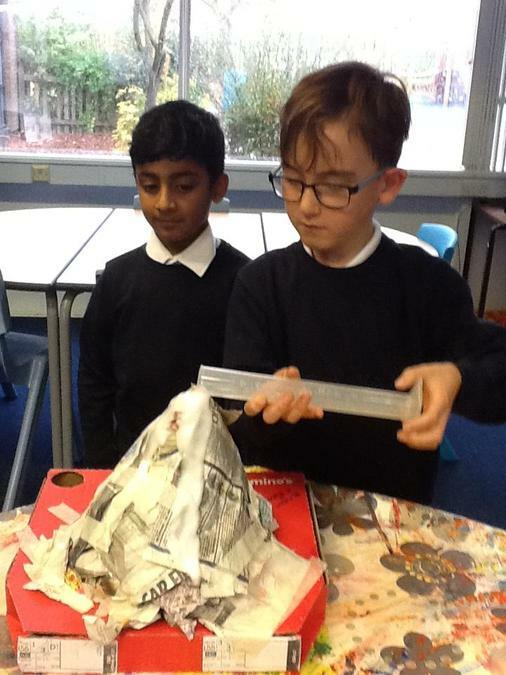 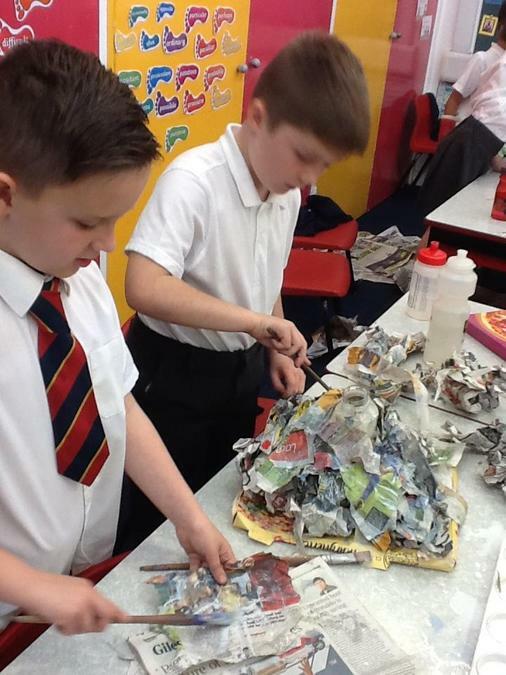 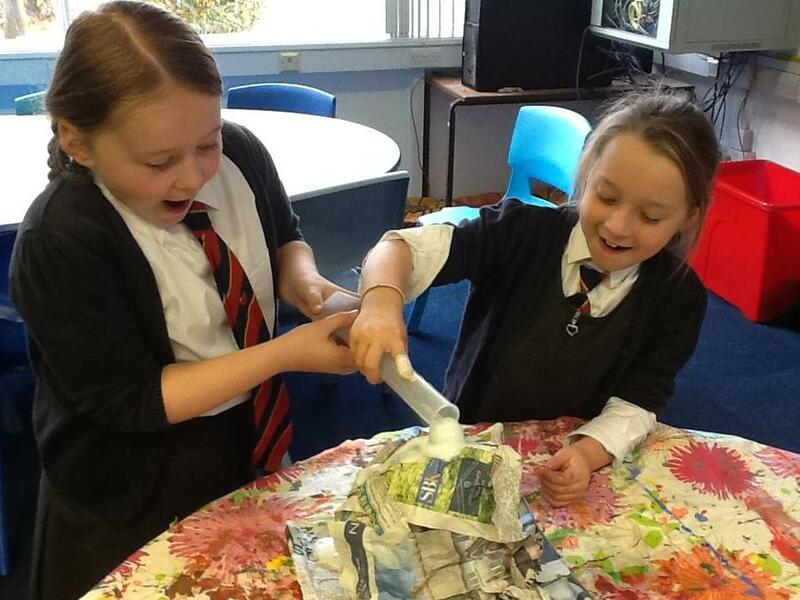 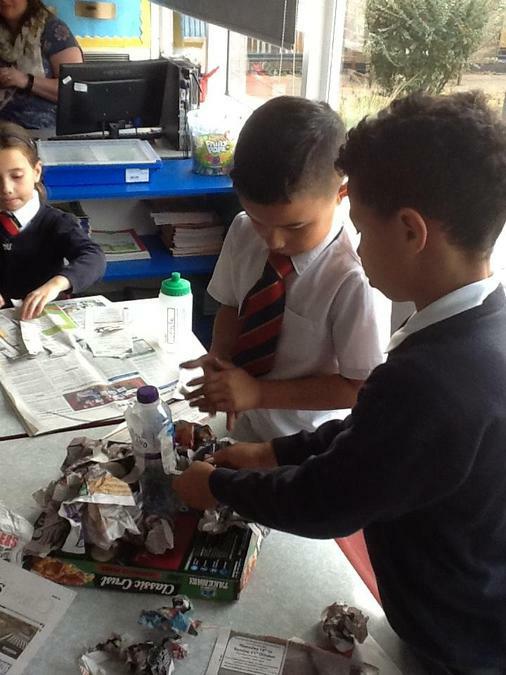 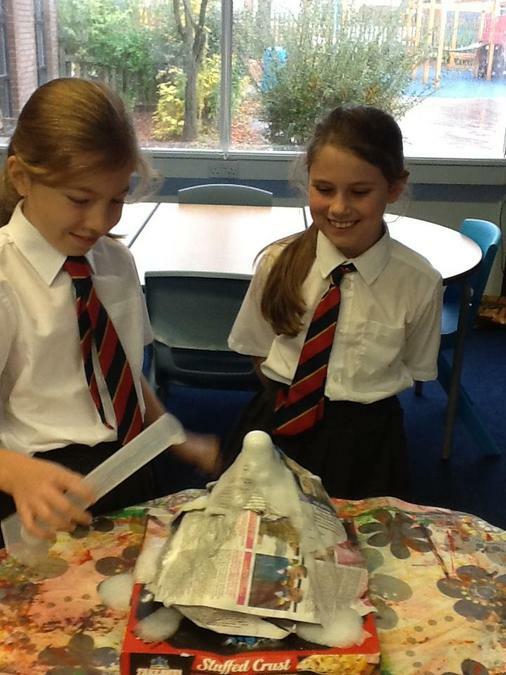 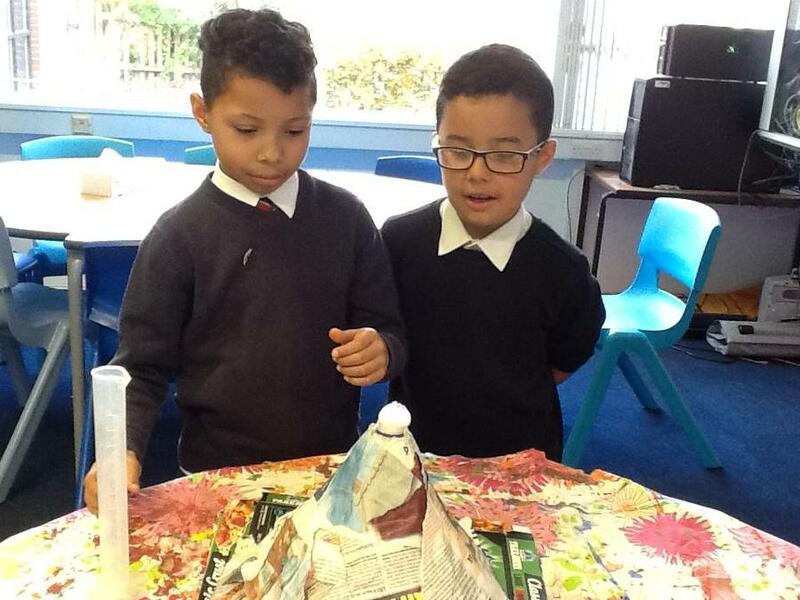 We made a volcano with our partners and we will be making them explode! 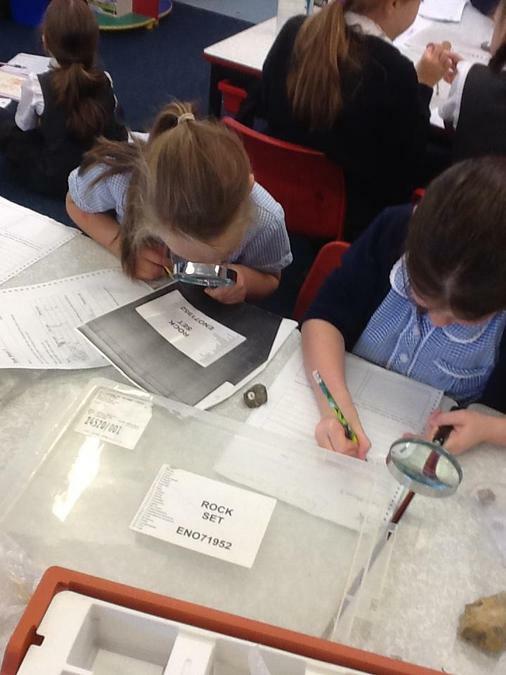 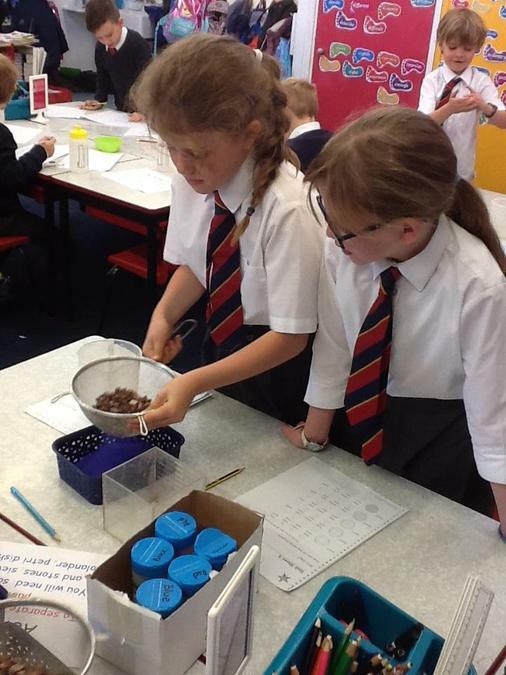 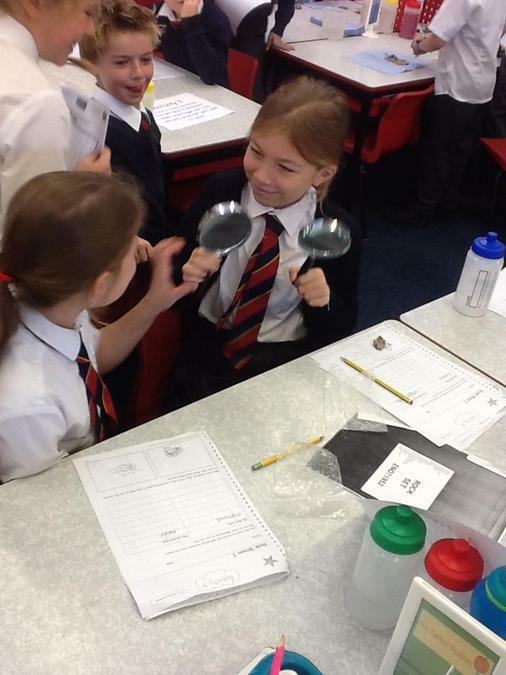 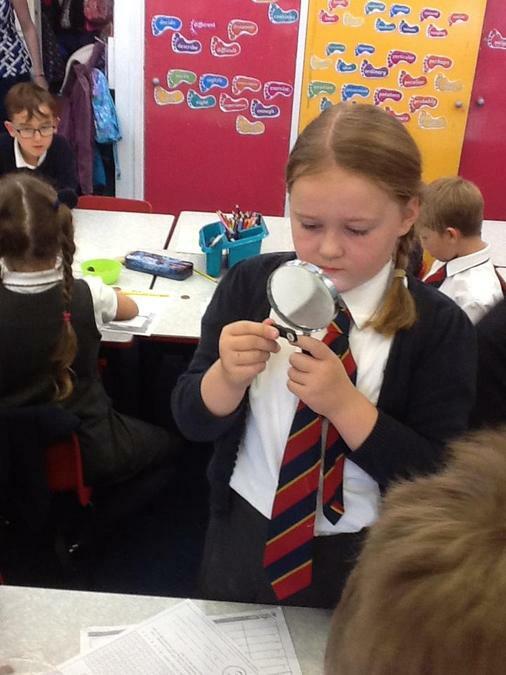 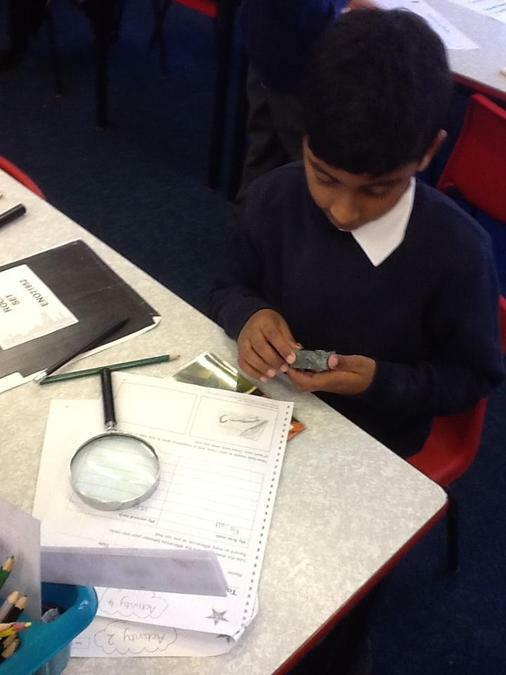 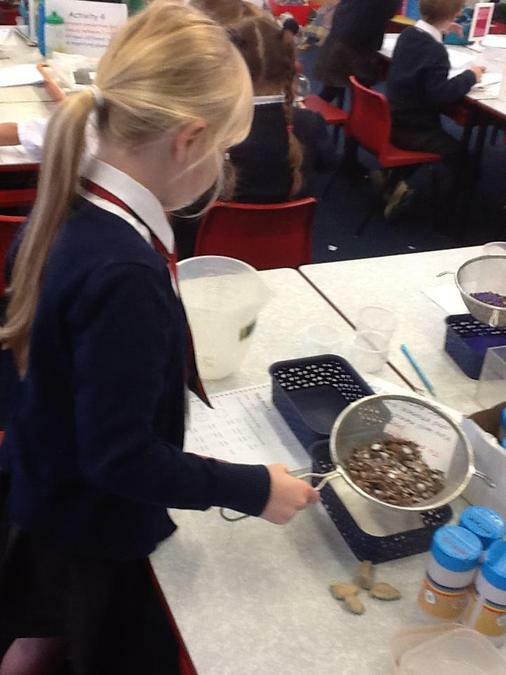 We carried out a number of activities such as comparing 2 different rocks using magnifying glasses, testing the properties of rocks, testing the hardness of rocks and separating sand and rocks using sieves. 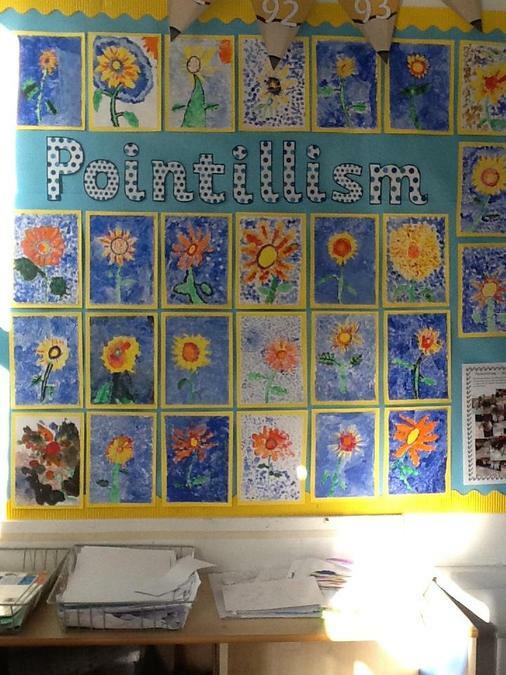 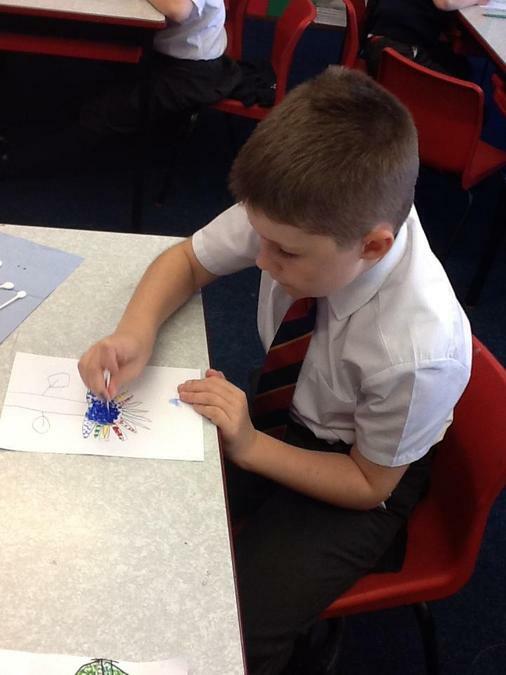 This week year 3 have been looking at Pointillism which is a style that was first used by artist, Georges Seurat. 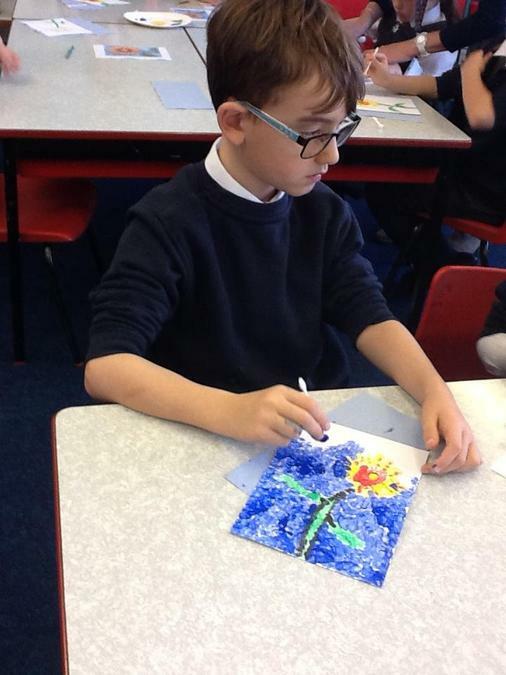 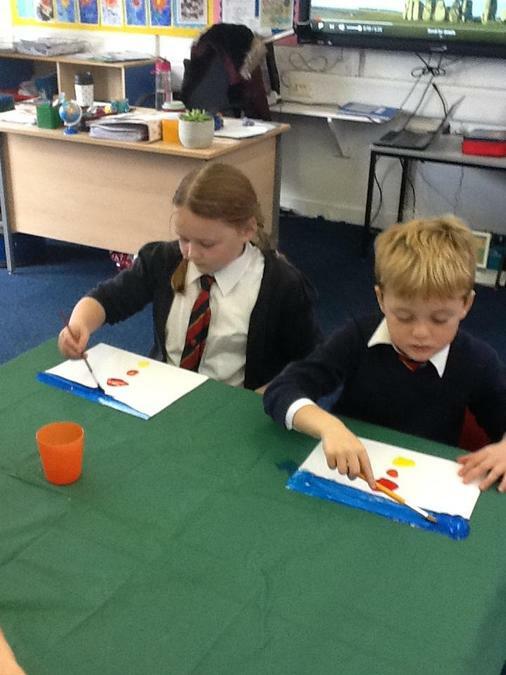 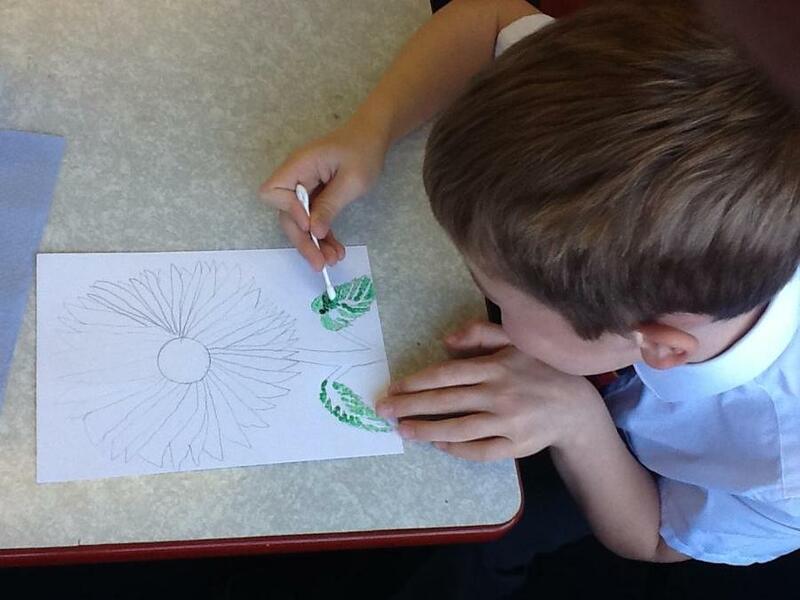 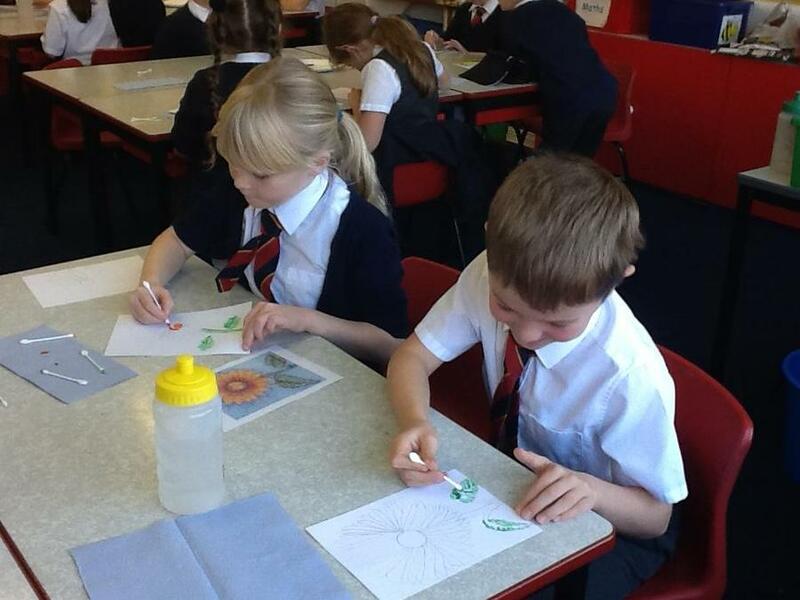 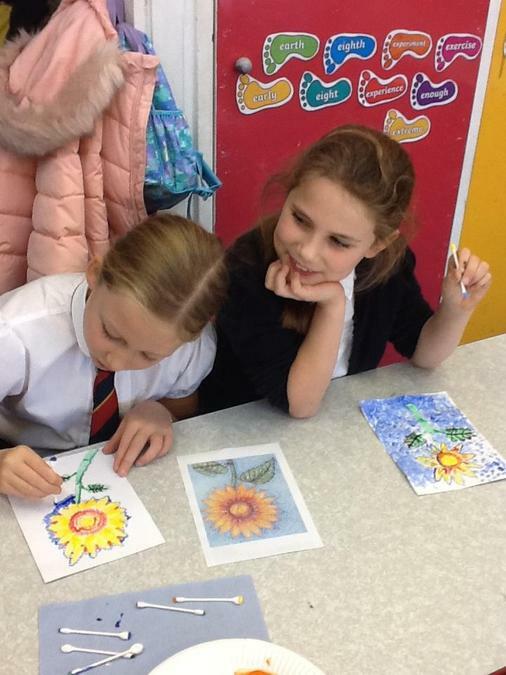 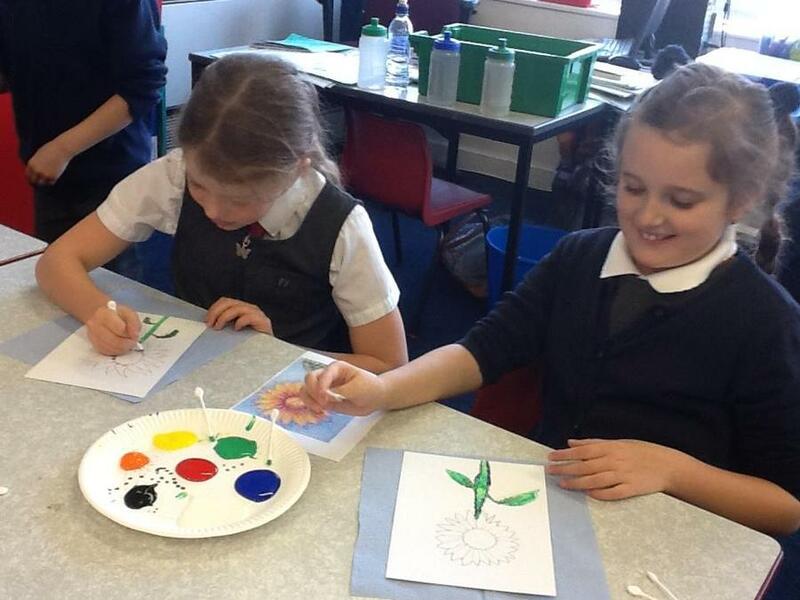 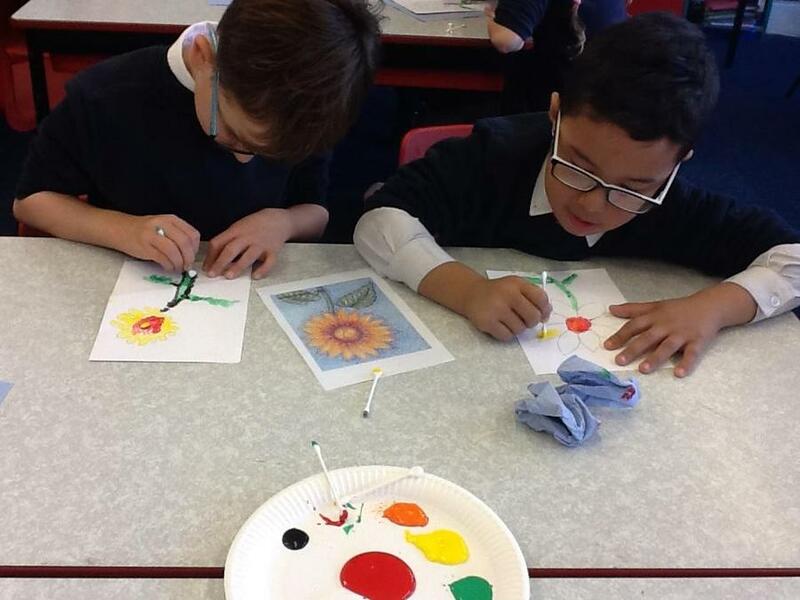 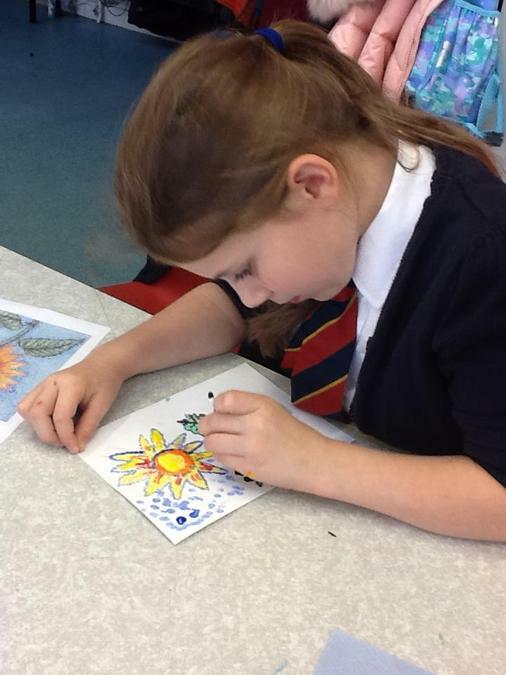 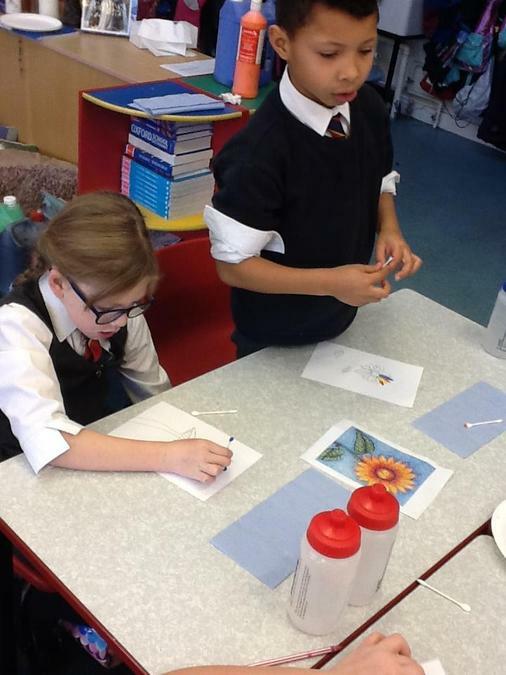 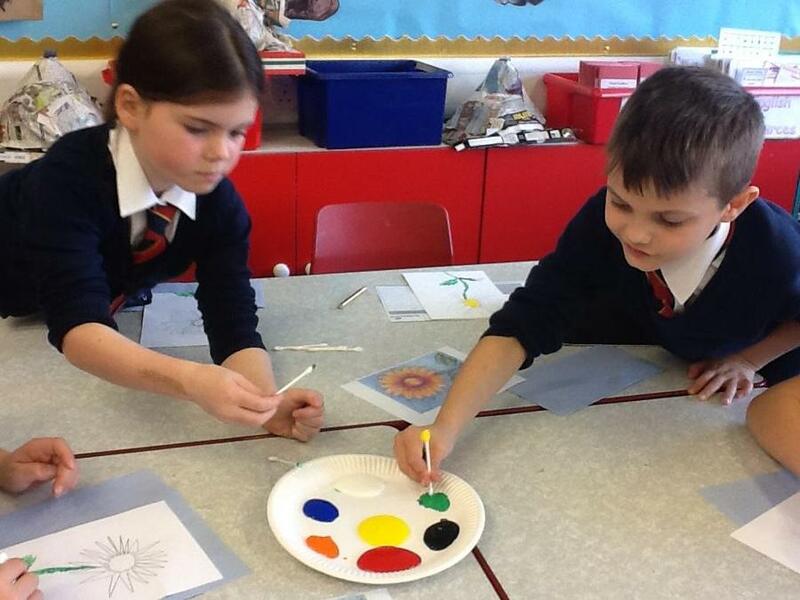 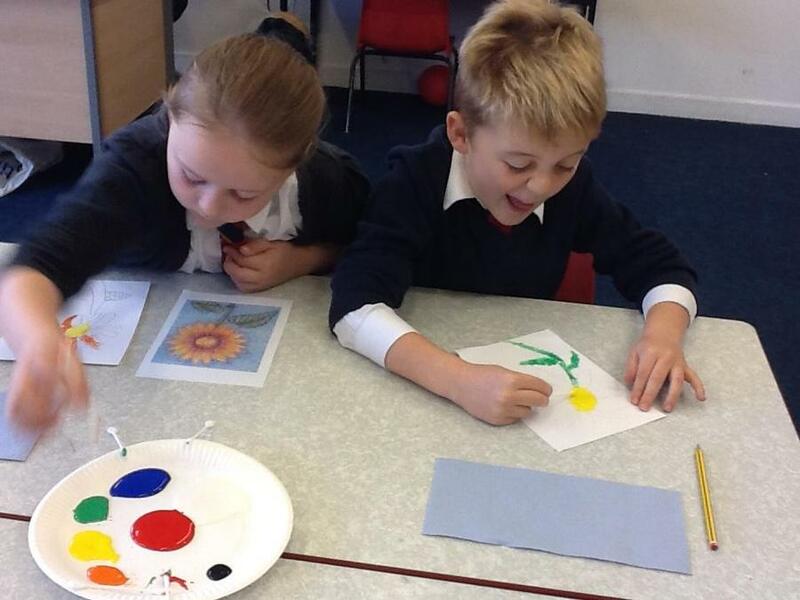 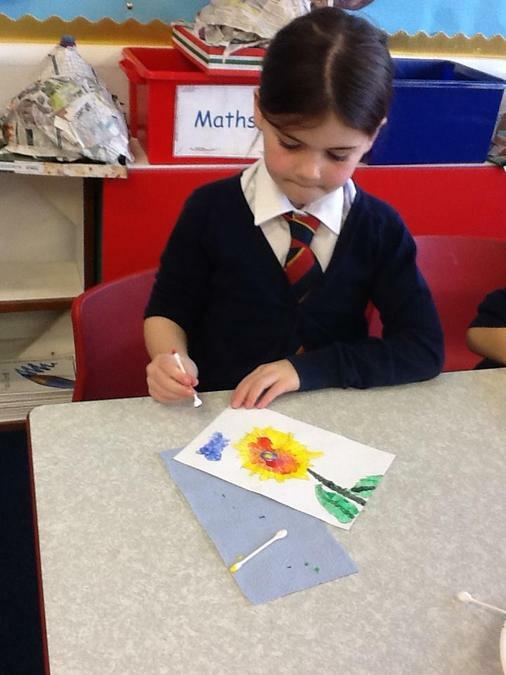 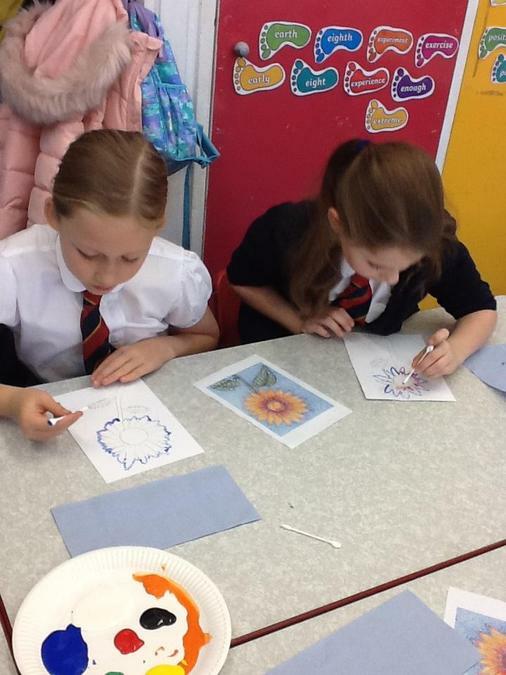 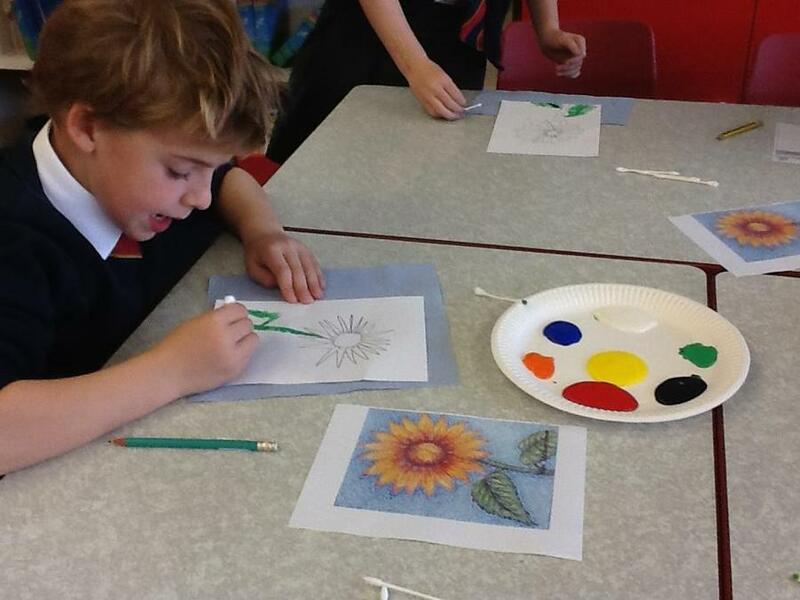 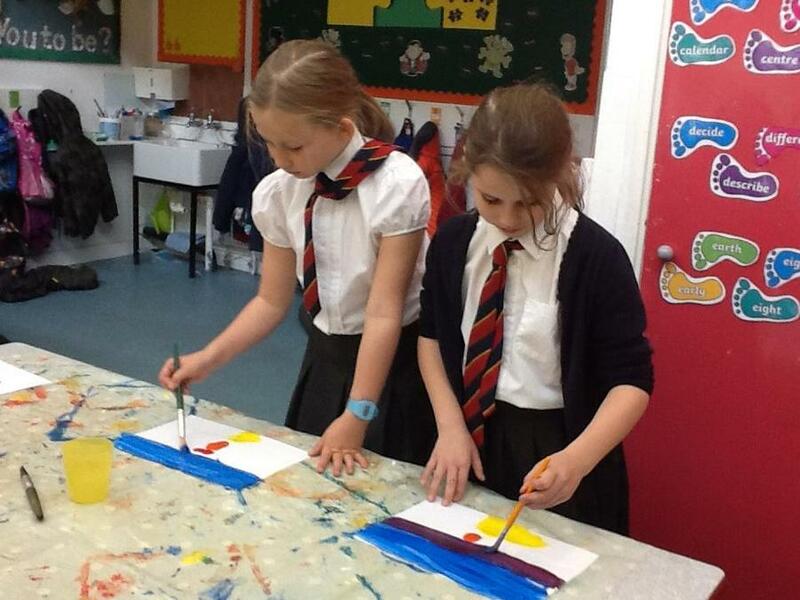 First we looked at some of Seurat's famous art work and then we used his style to re-create his sunflowers painting. 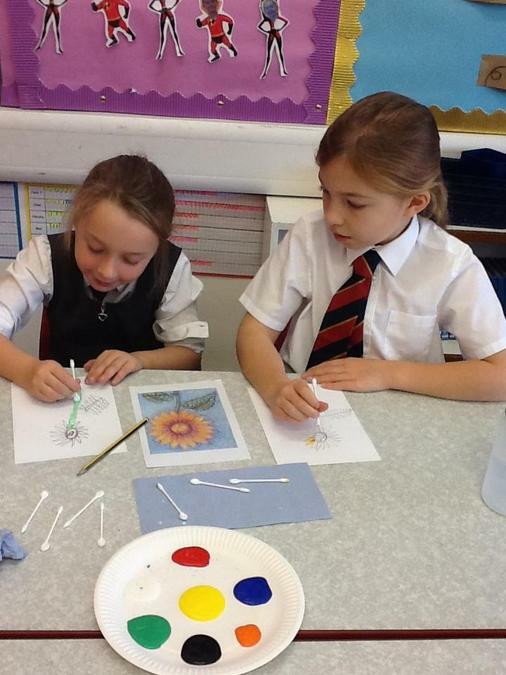 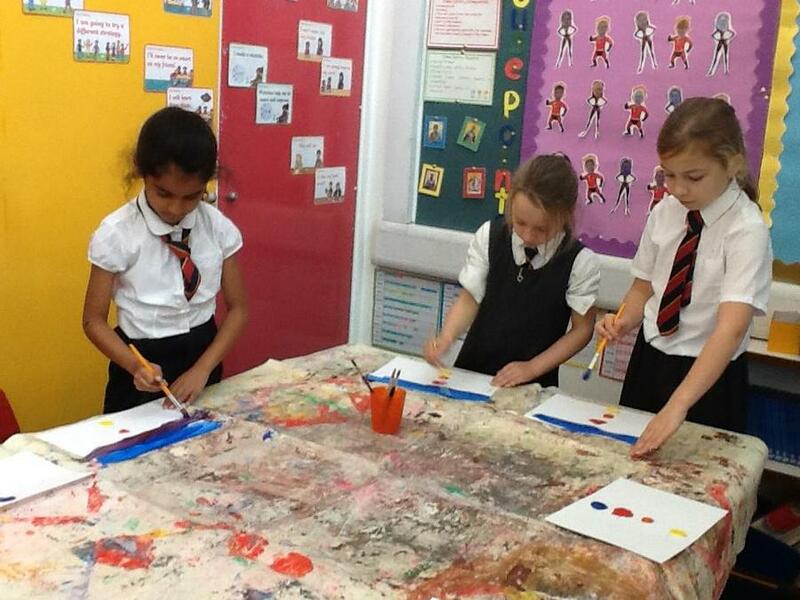 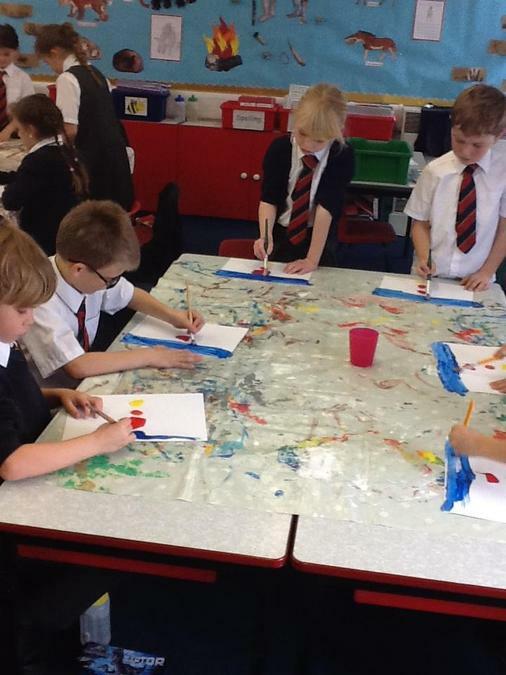 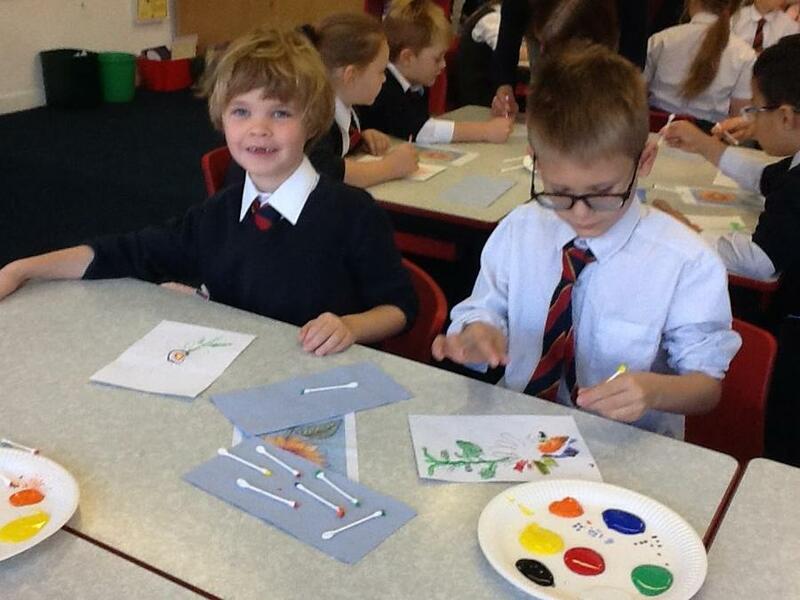 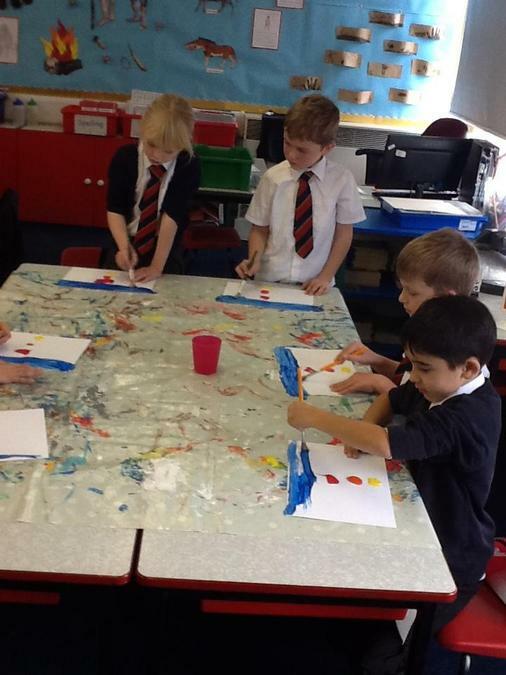 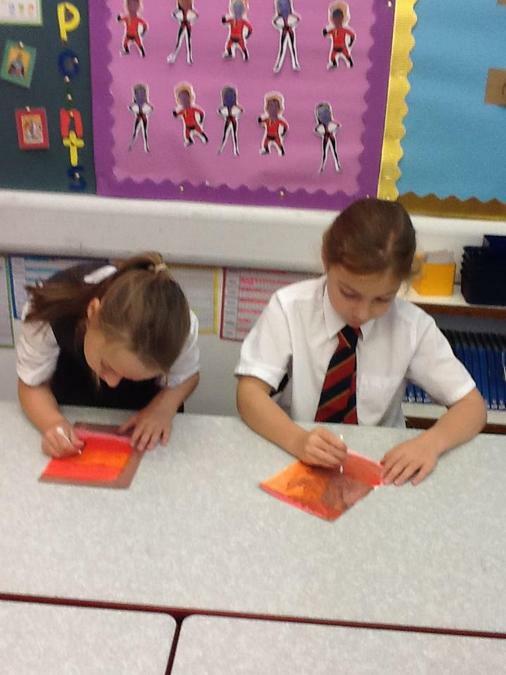 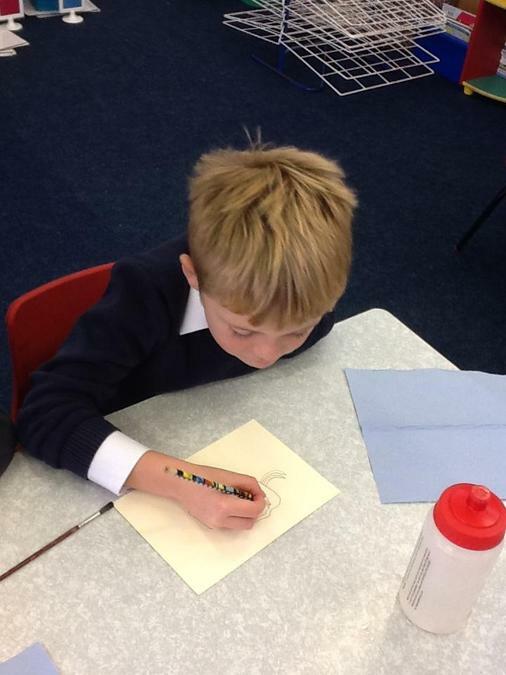 We drew our design in pencil first and used cotton buds and paint to fill the painting in using dots. 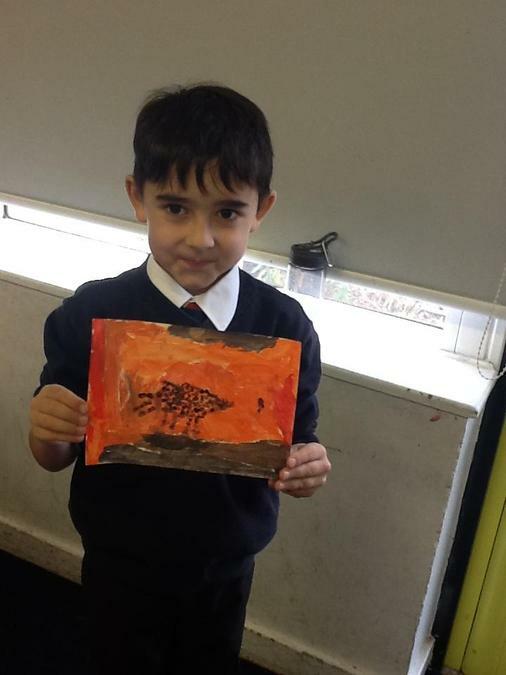 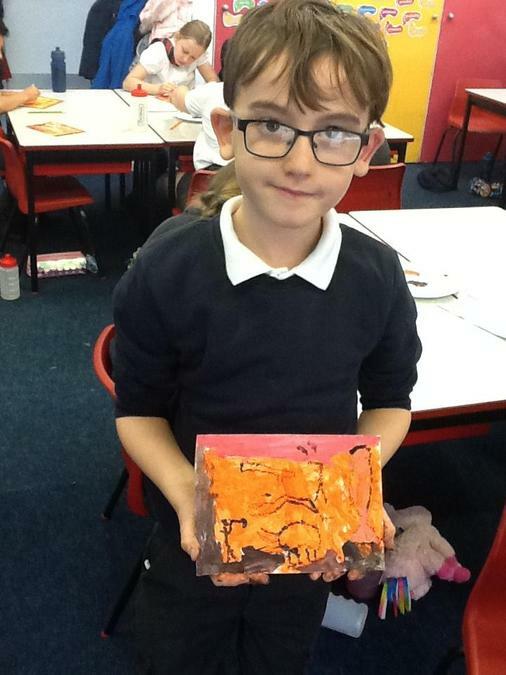 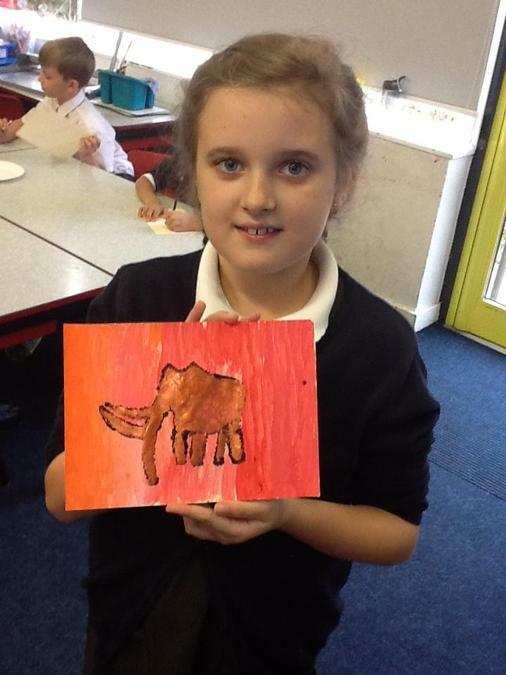 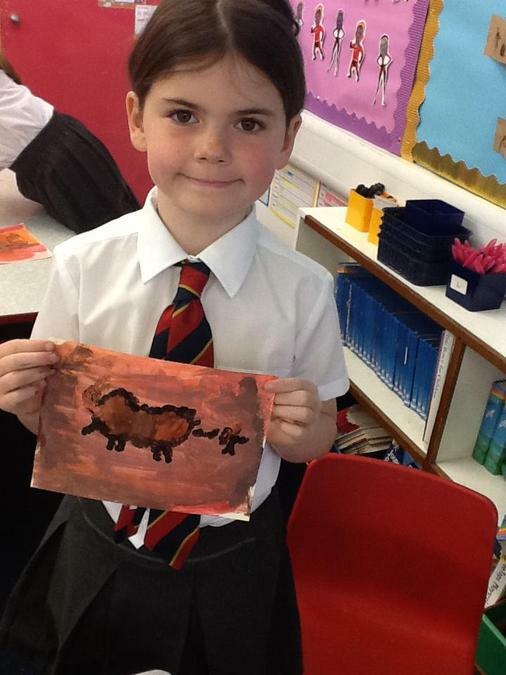 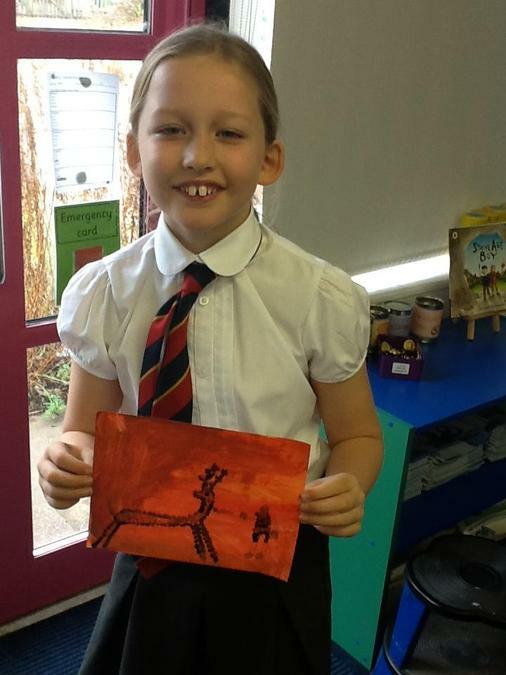 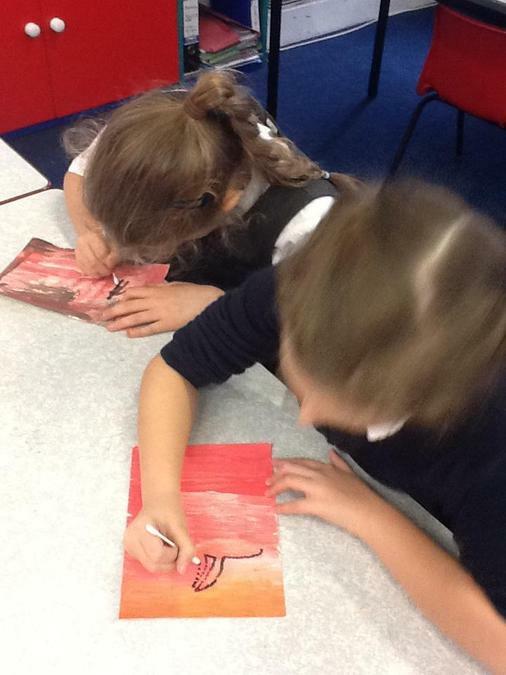 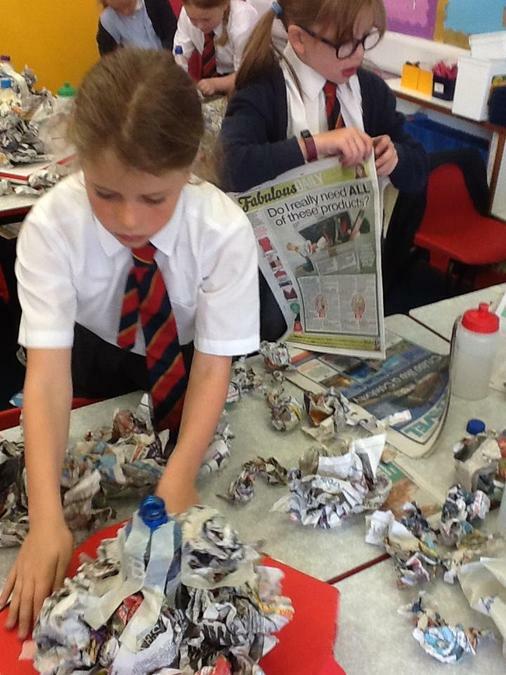 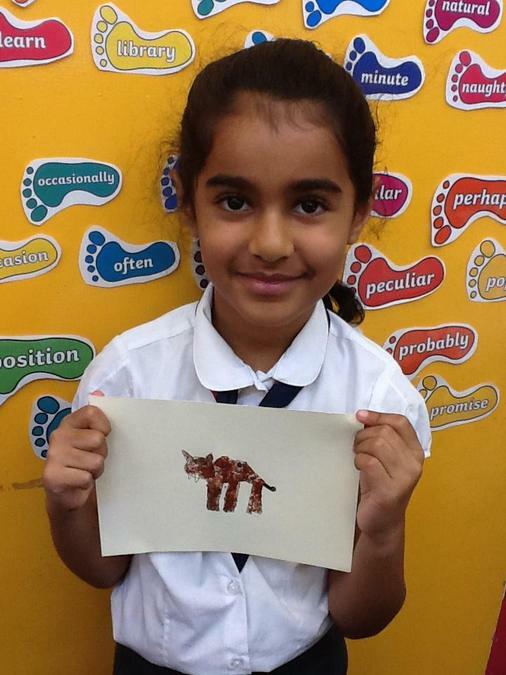 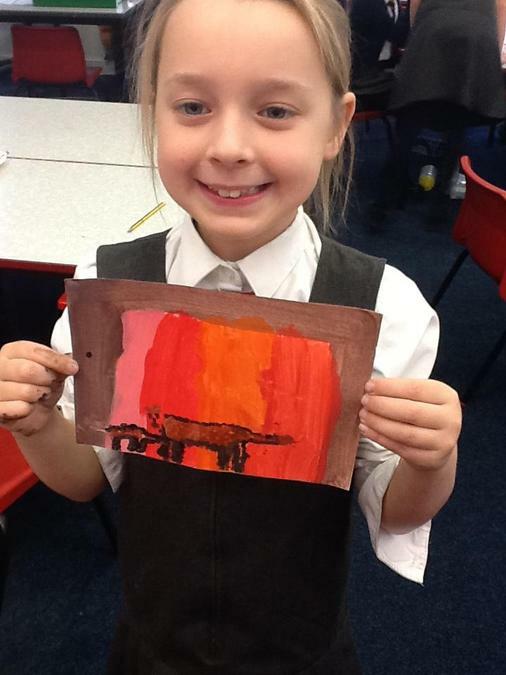 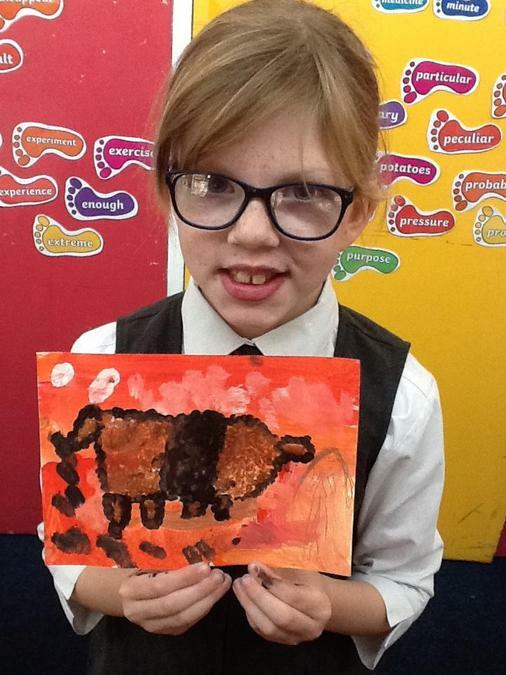 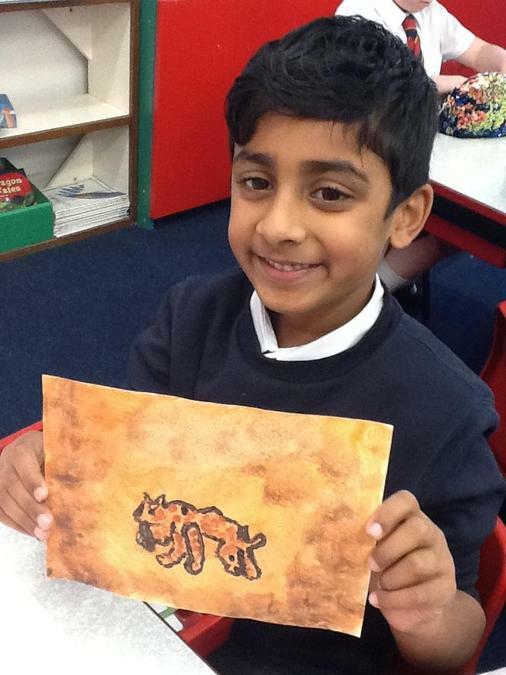 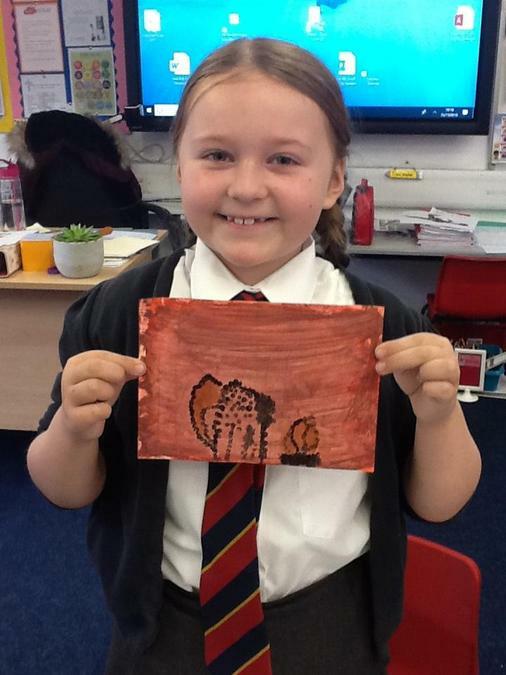 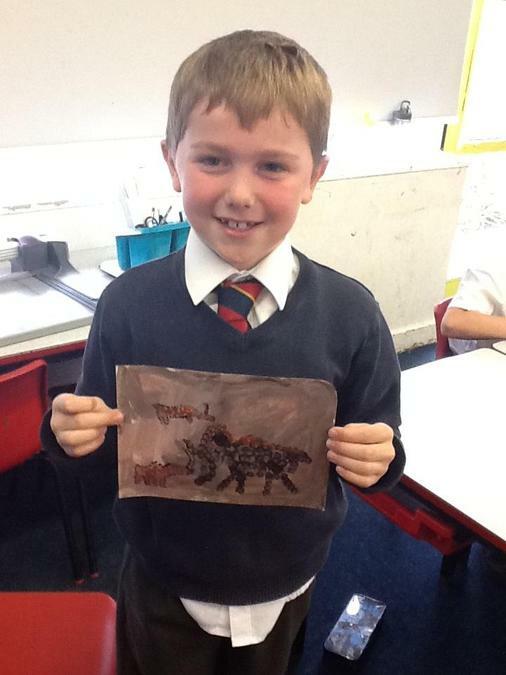 We then used the Pointillism style to create our own cave art, linked to our Stone Age topic. 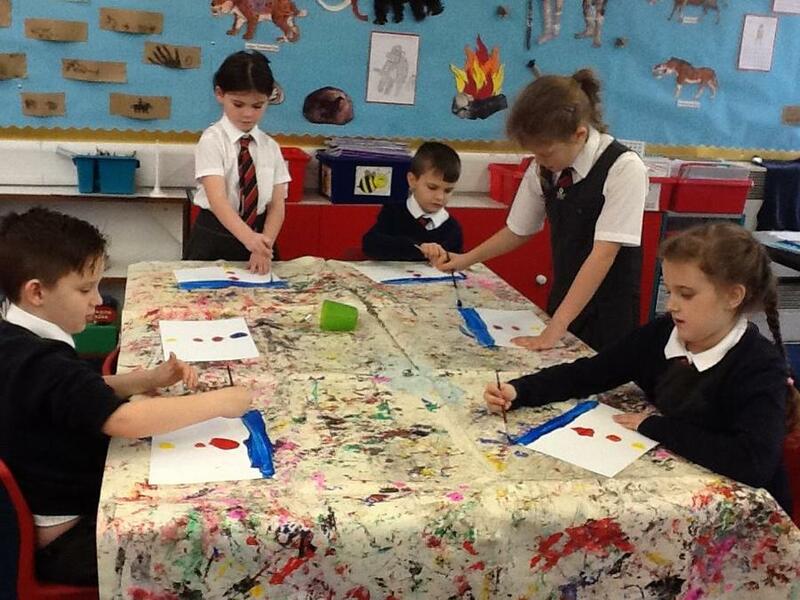 We painted a background first and then used cotton buds to draw the animals on. 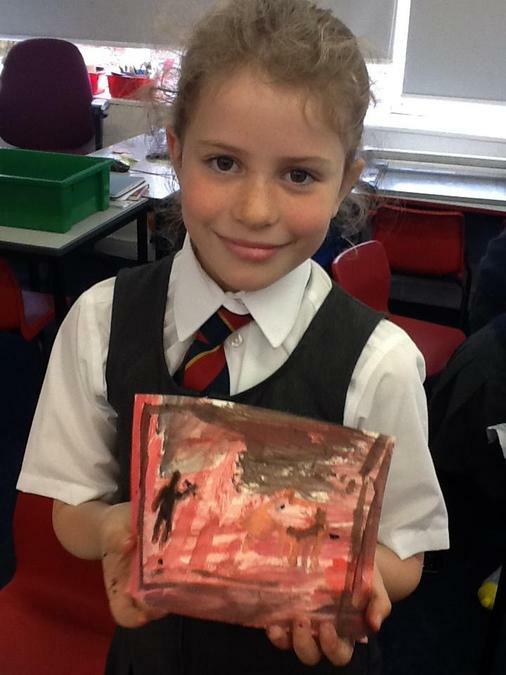 Our finished pieces look fantastic! 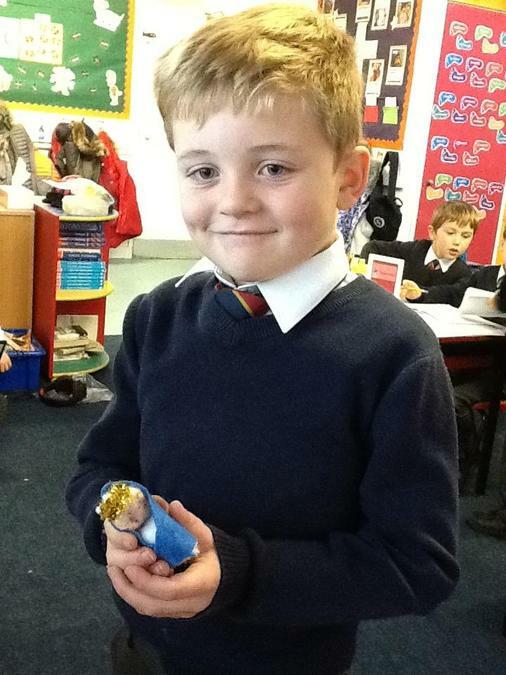 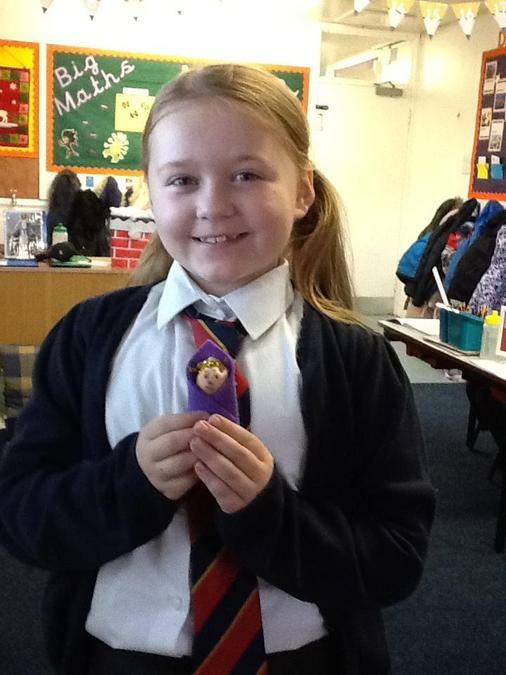 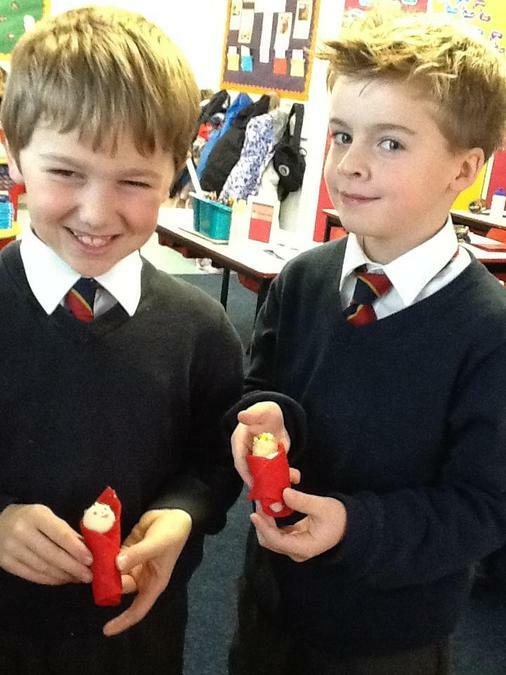 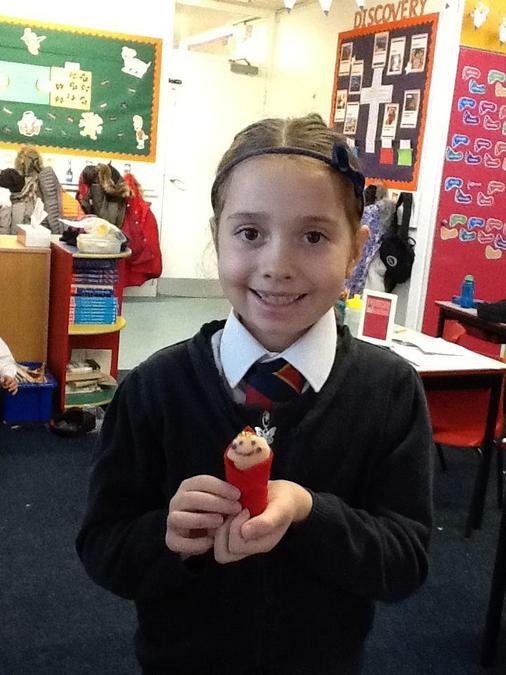 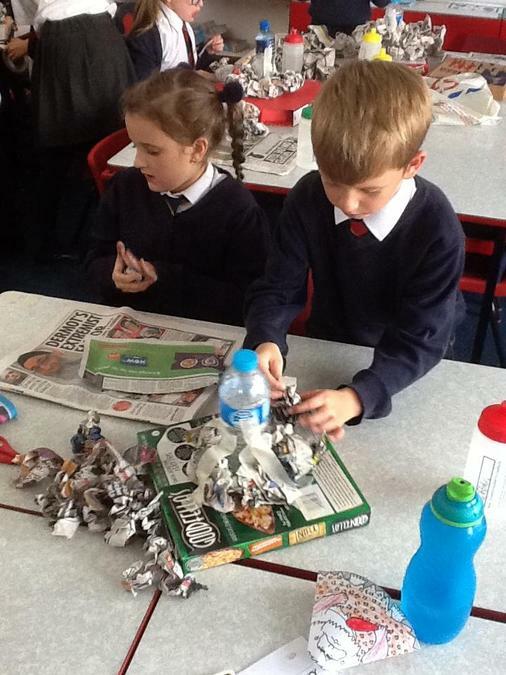 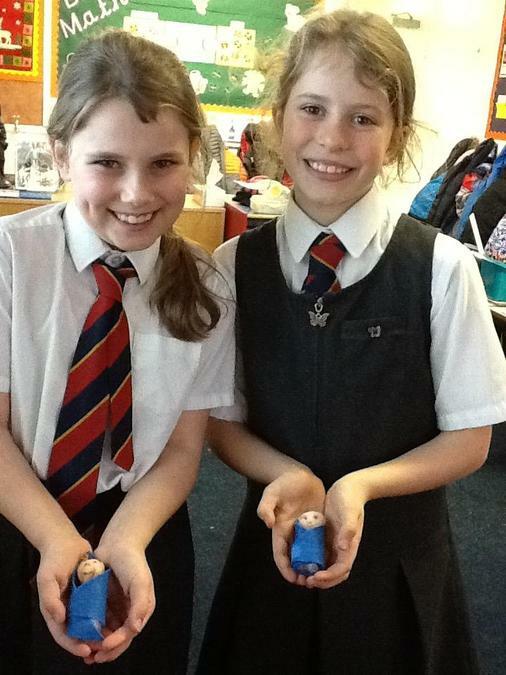 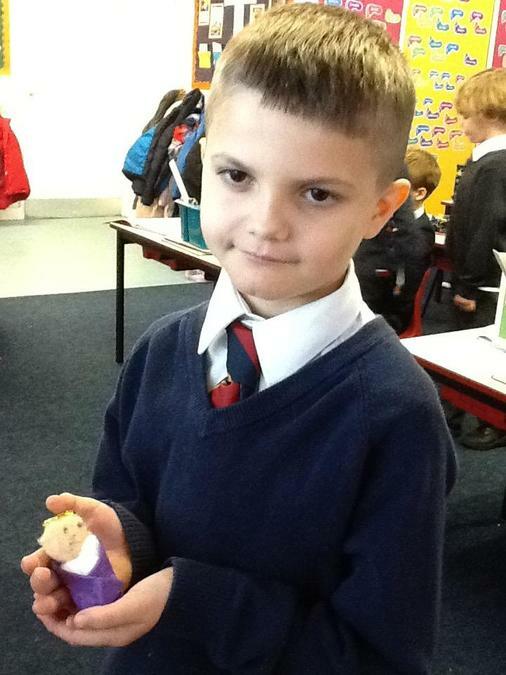 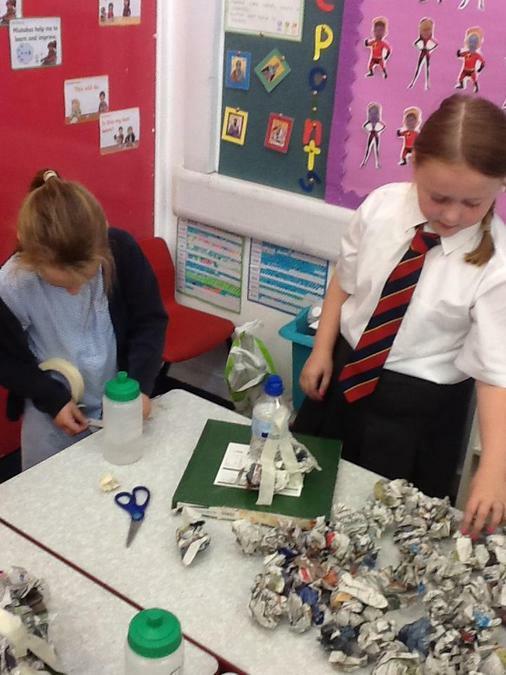 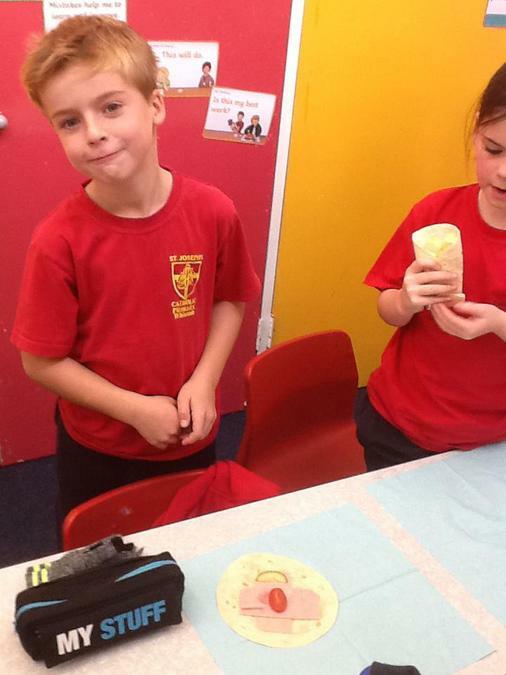 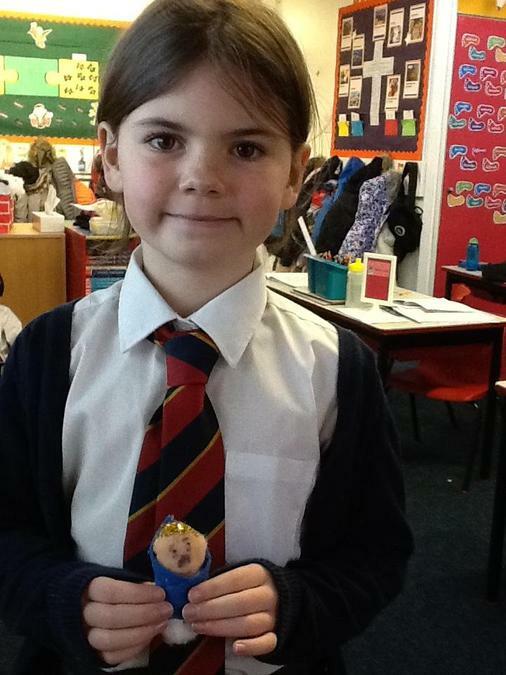 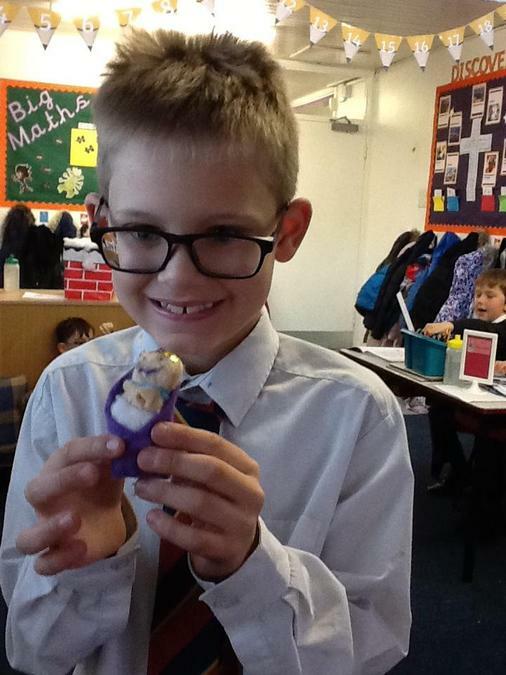 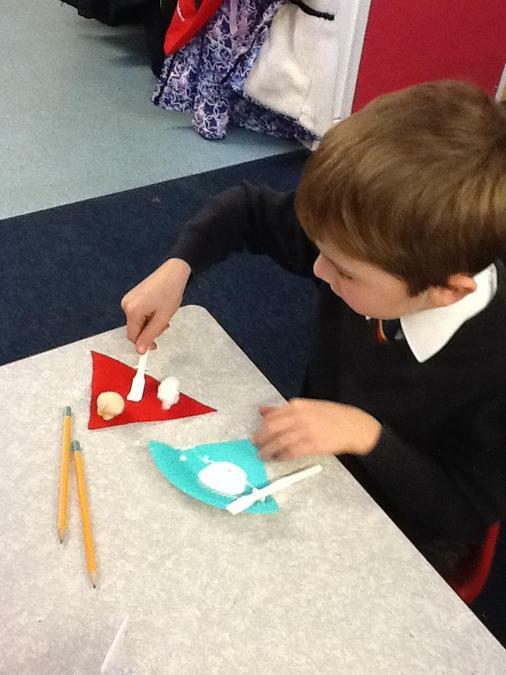 As part of our Christmas topic in RE, We have been making our baby Jesus' to take to our advent mass on Thursday. 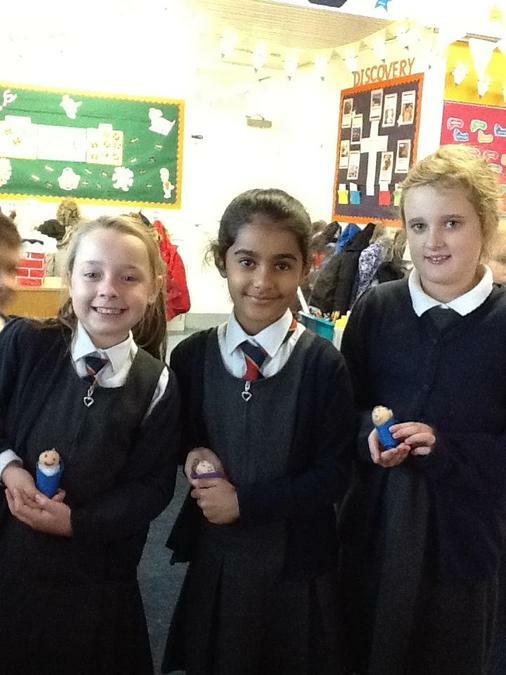 We will have them blessed and then we can take them home. 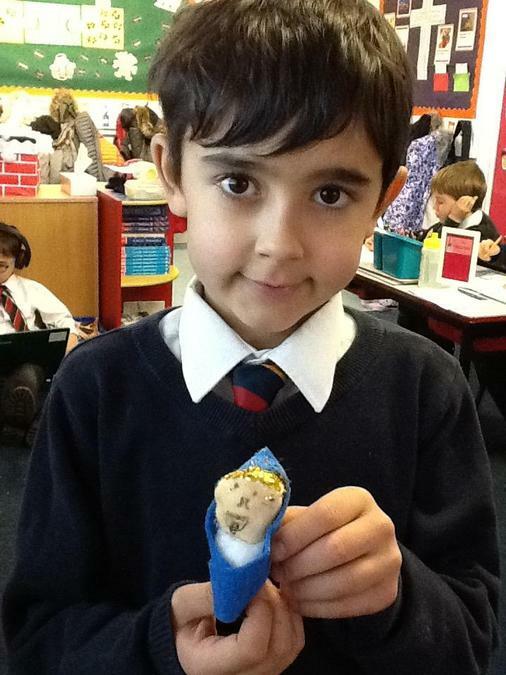 We made them from felt and cotton wool and then we added a gold crown of glitter.